This month started in the grip of a fierce winter storm, immediately nicknamed `The Beast from the East` by the media, that had blown in all the way from Siberia. 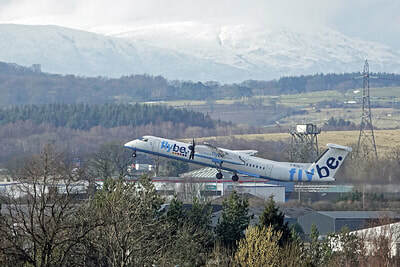 The blizzards, gales and drifting snow brought most of the UK to a standstill and affected, road, rail, ferry and of course air transport. 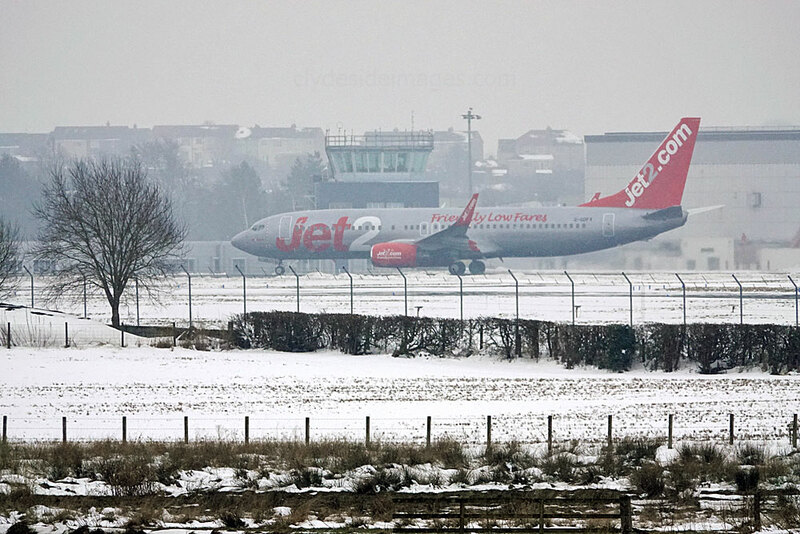 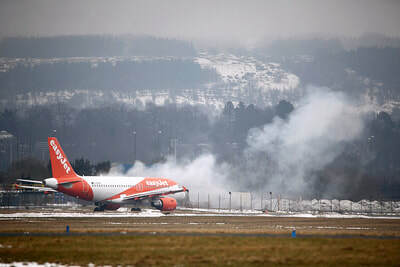 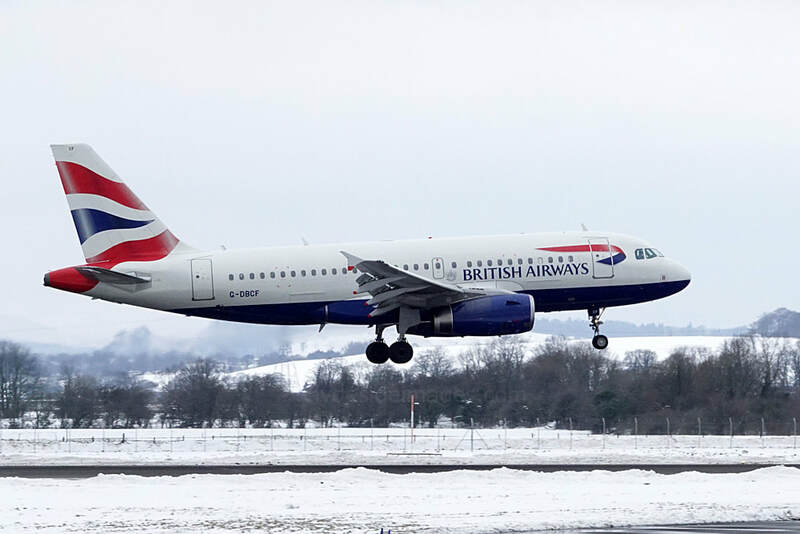 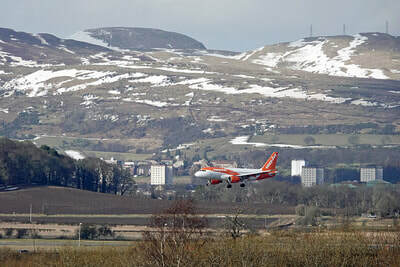 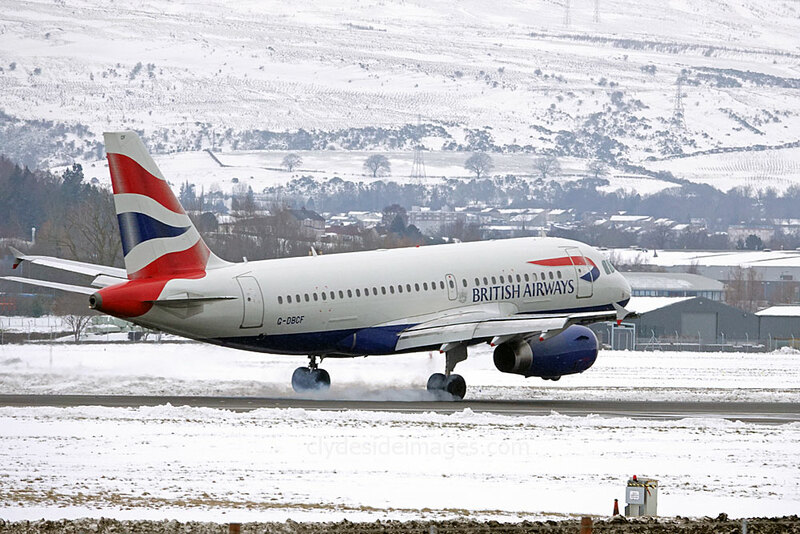 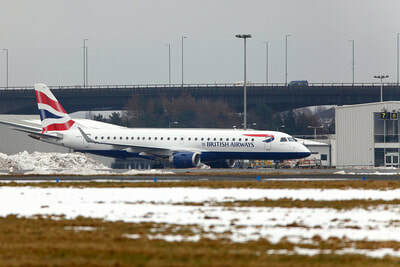 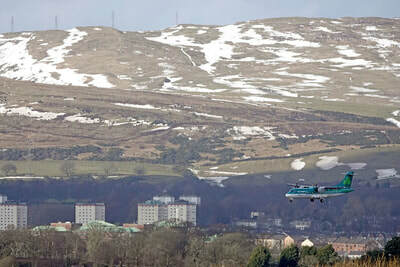 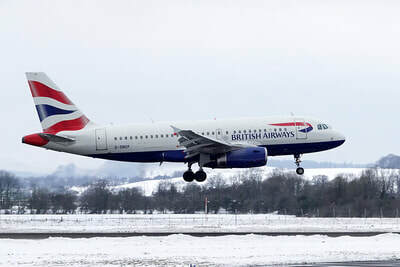 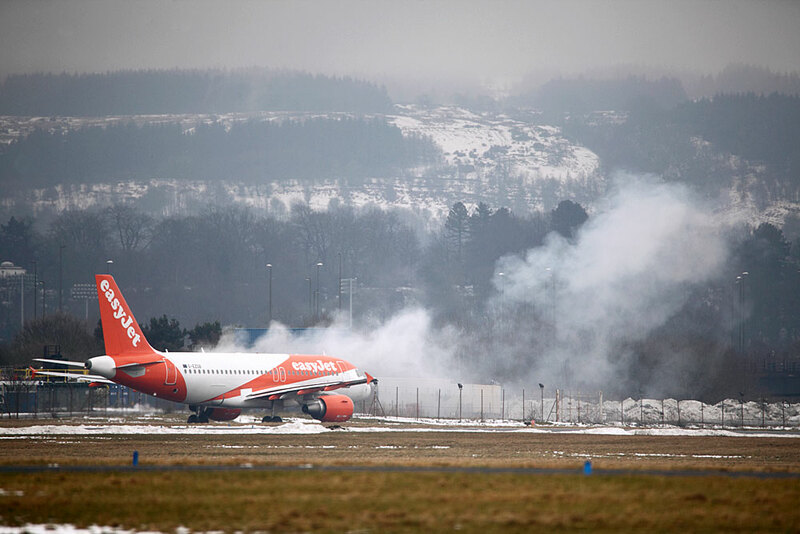 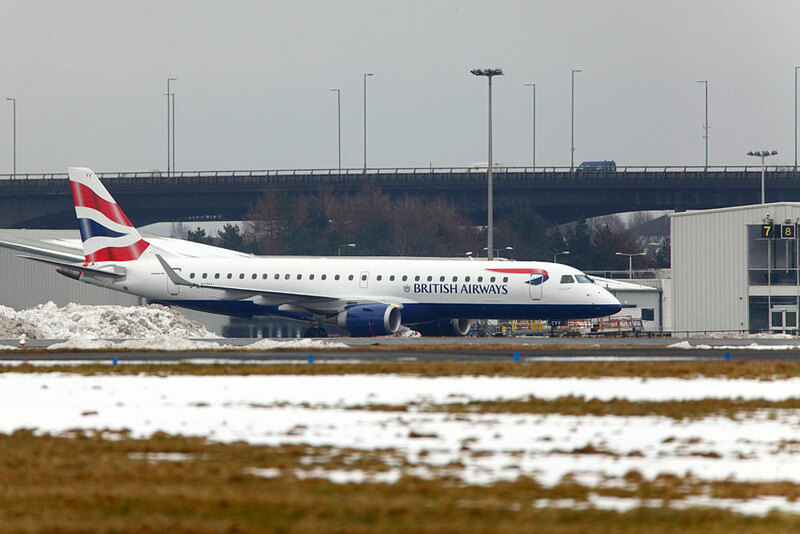 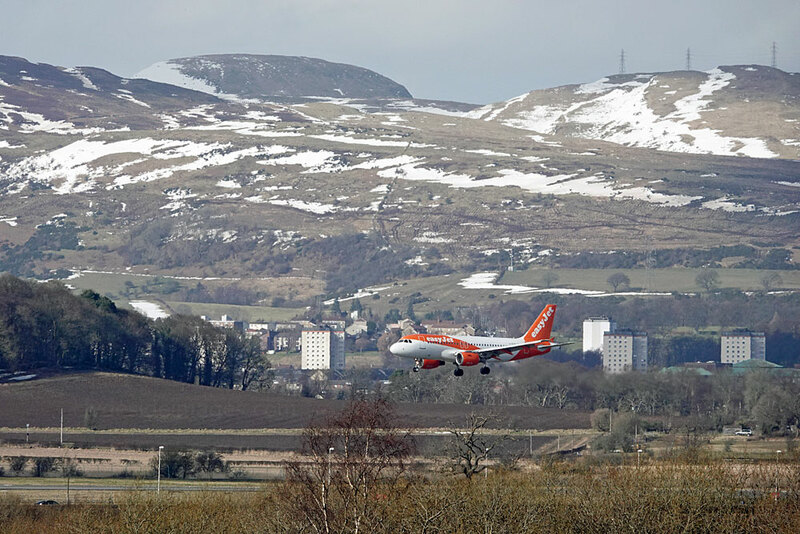 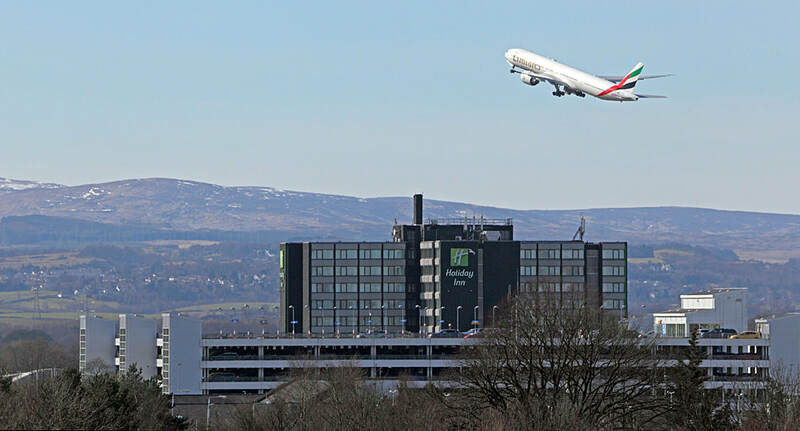 Glasgow Airport was closed all day on Thursday 1 March with hundreds of passengers stranded in the terminal or nearby hotels, some for a second night with little prospect of onward travel the following day, despite the continual efforts of the airport`s snow-clearing teams. 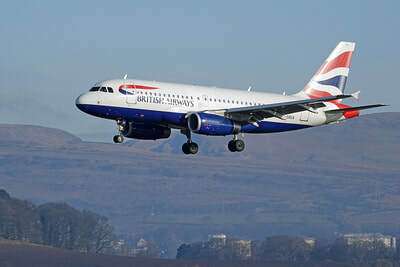 In my garden, however, my plane-spotting Meerkat remained optimistic and continued to scan the approach for incoming flights! 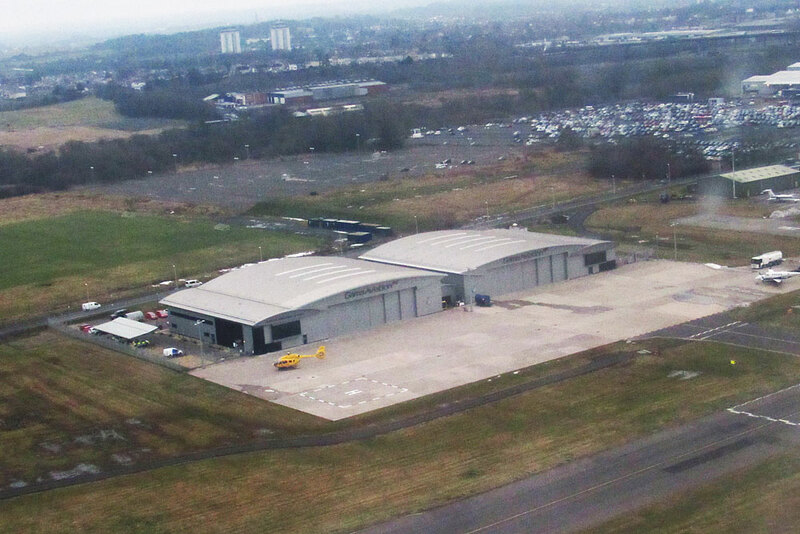 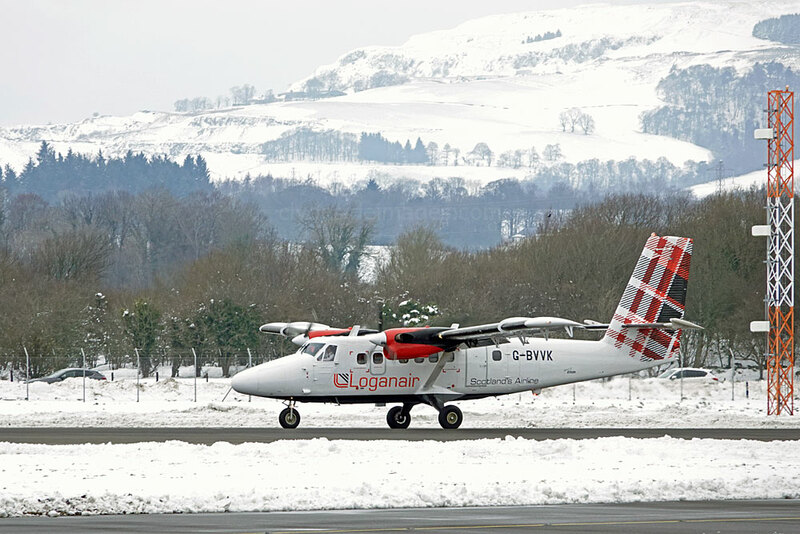 Much of the snow lifted from the runway, taxiways and aprons was dumped in the empty contractor`s compound to the west of the Loganair hangar. 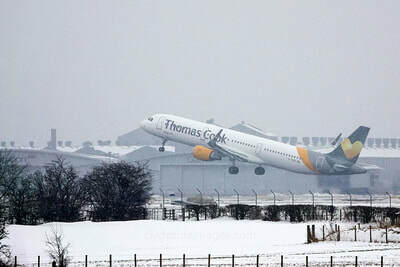 On the 2nd, weather conditions improved sufficiently to restart operations, although most of the flights scheduled that day experienced delays and some were cancelled altogether. 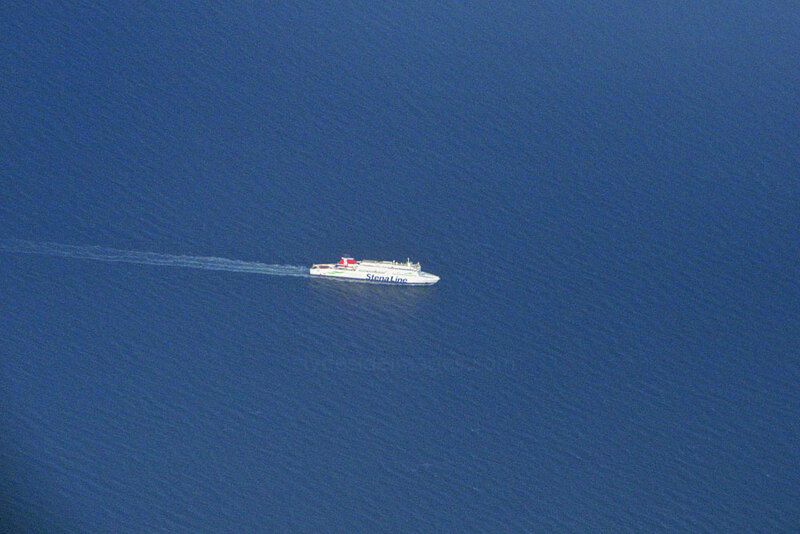 Loganair services were unaffected. 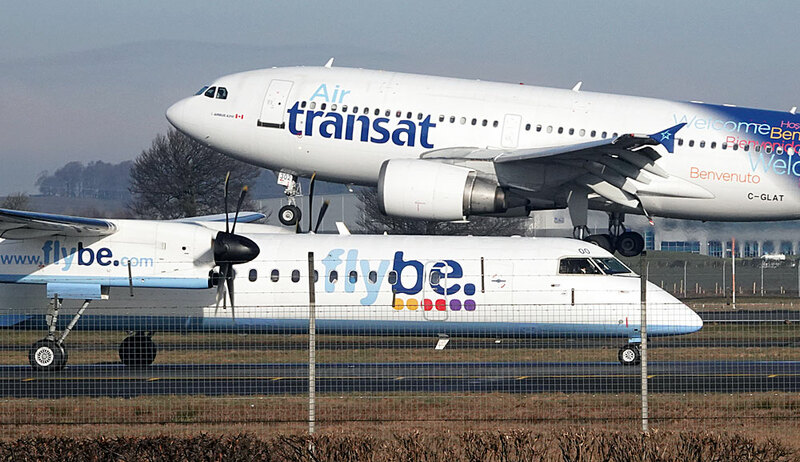 ​Air Transat A330 C-GUBC and two Icelandair 757s made it in, as did other carriers` planes including the Eurowings Dash 8, Lufthansa CRJ-900LR D-ACNM, which was in the airline`s new colour scheme, and Titan Airways Boeing 757-256 G-ZAPX which arrived from Lanzarote. 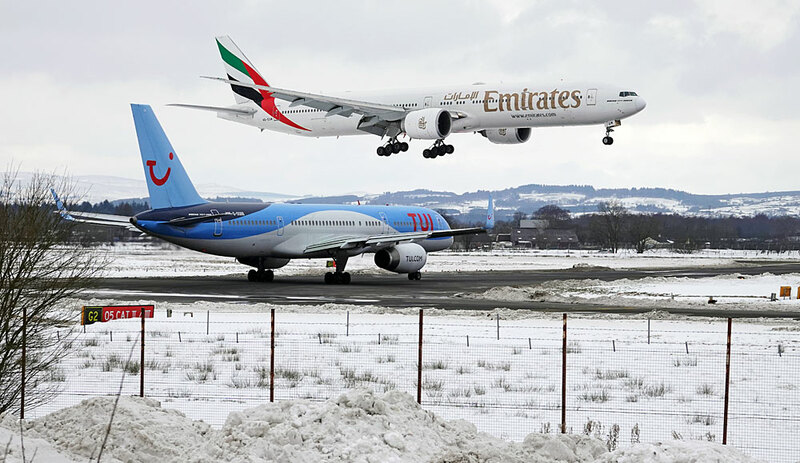 Departing flights held over from the previous day taking-off on the 2nd included a KLM 737 and an Emirates Triple-seven. 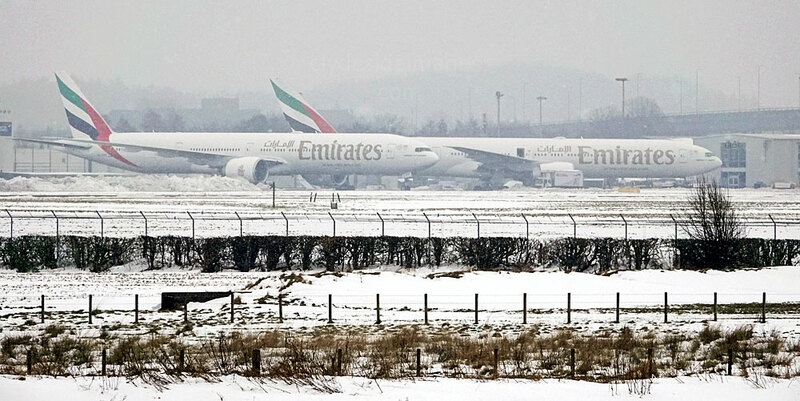 Three Emirates Boeing 777-31H(ER)s were present at the airport on Sunday 4 March, albeit not all at the same time. A6-EPH and A6-EGK were the scheduled aircraft with A6-ENG, which had arrived the previous afternoon, night-stopping from the 3rd to assist with the backlog of passengers caused by weather disruption. It was snowing when I took the above shot of A6-EPH passing `ENG`as it taxied to the terminal after landing about 11:20 hrs. 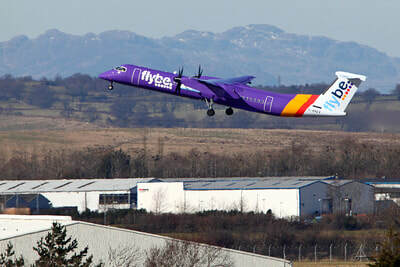 As yet, passenger numbers for February haven`t been released. 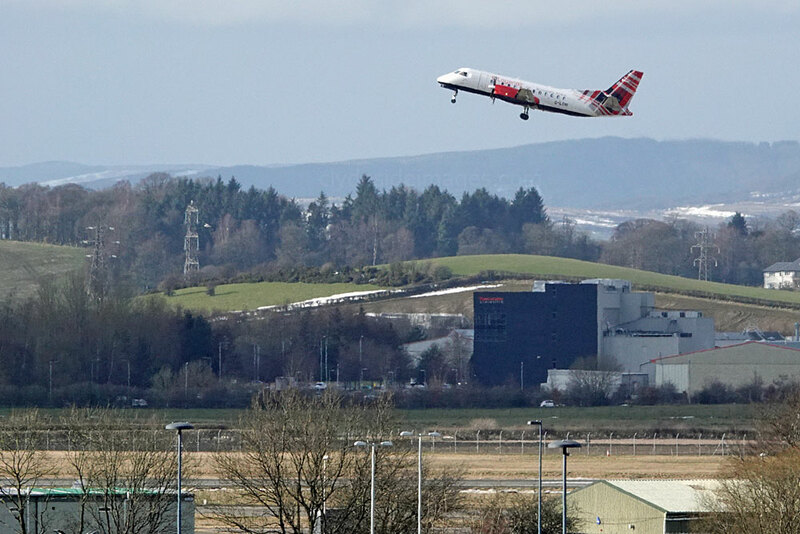 The airport has been quick announce figures in the past, especially as up until the start of this year they have shown welcome increases. The delay may be because the numbers aren`t so encouraging this time round but I`ll do an update once the information becomes available. 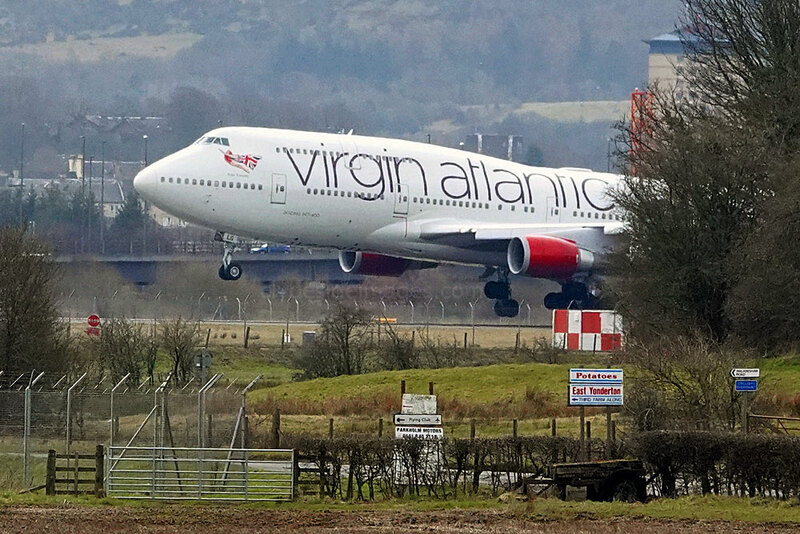 The end of the month saw the resumption of Virgin Atlantic`s 747 service to Orlando. 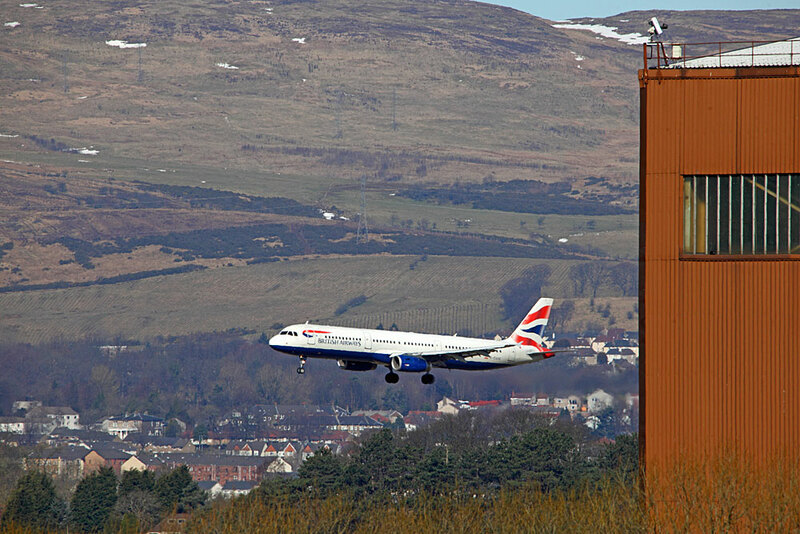 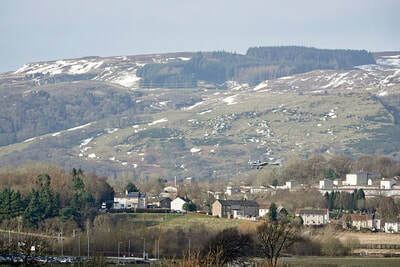 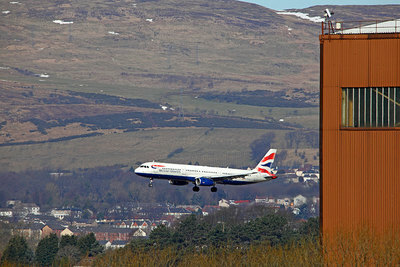 This is outbound G-VXLG `Ruby Tuesday` arriving on Friday 30 March. 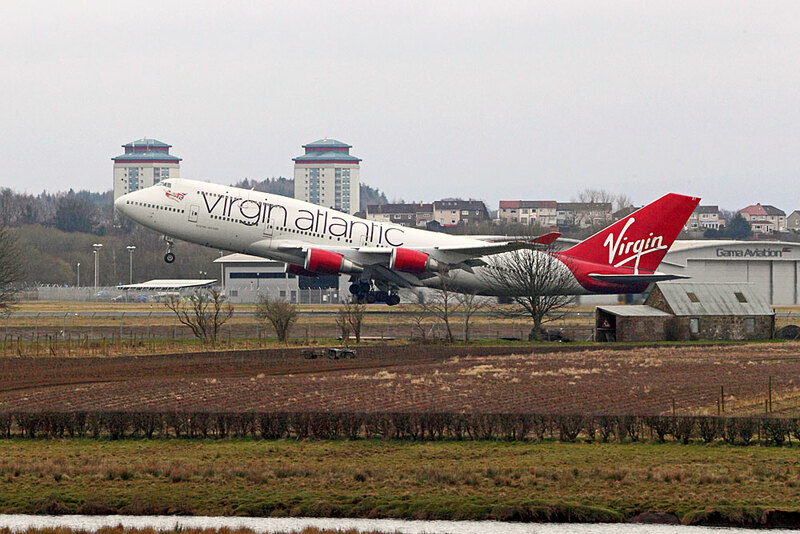 Triple-Seven A6-EGL sets off on the return flight to Dubai, Tuesday 20 March. 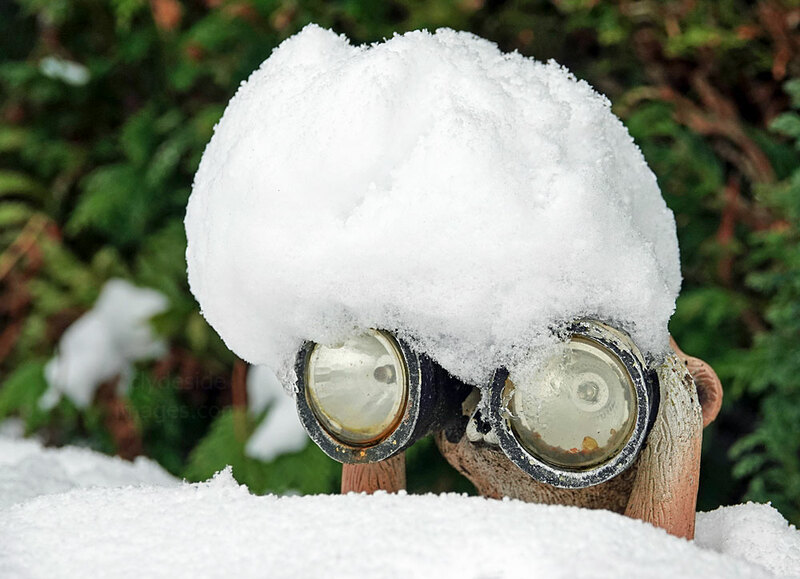 A few days later, however, when I went to the garage first thing a wee mouse scuttled out from behind the packs and ran out the door. 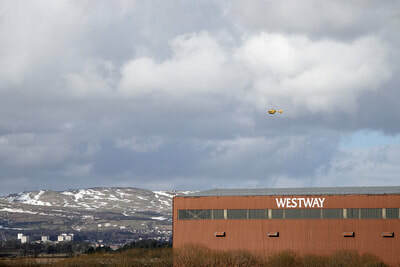 This happened a couple of days in a row and an inspection confirmed that the hungry rodent had gnawed through the wrapping and, having seen the amount of seed he or she had scoffed, I was surprised to see it move so fast. 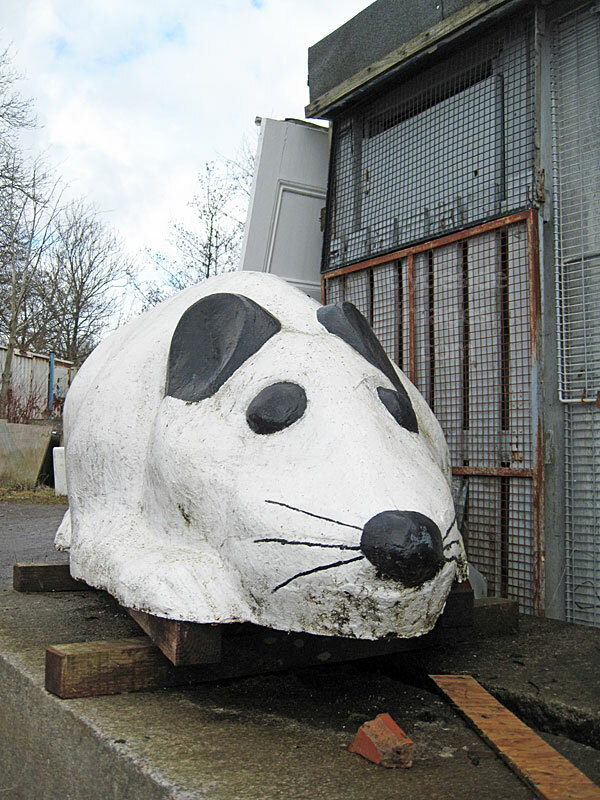 Later, I was driving back from Johnstone on the back roads and passed this 6 foot long `mega mouse` in a builders yard. 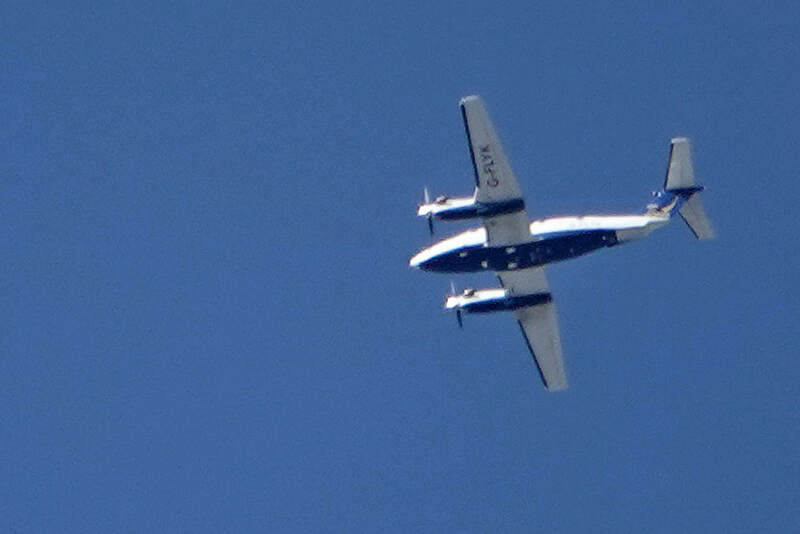 It was too tempting - I stopped for a quick snap and when I got home announced that I managed to get a cracking shot of the guilty squeaker! 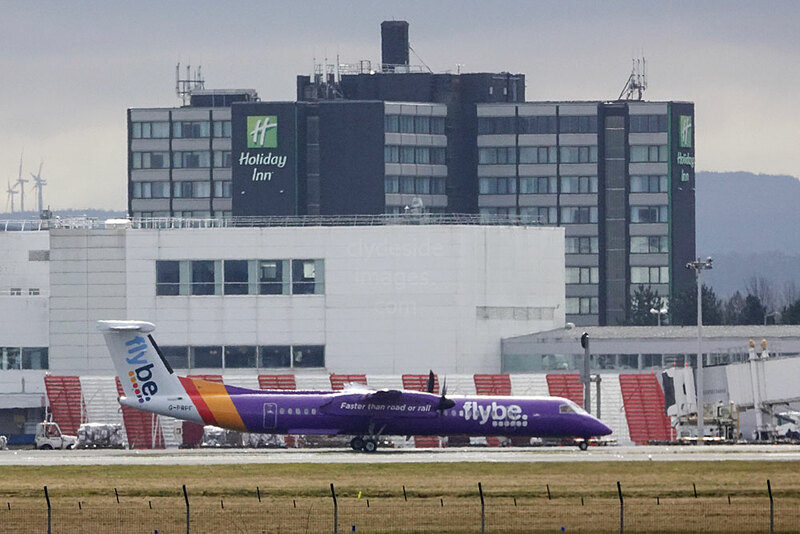 There aren`t quite as many aircraft shots this month as I spent a week visiting the D-Day Beaches and Airborne Landing Grounds. 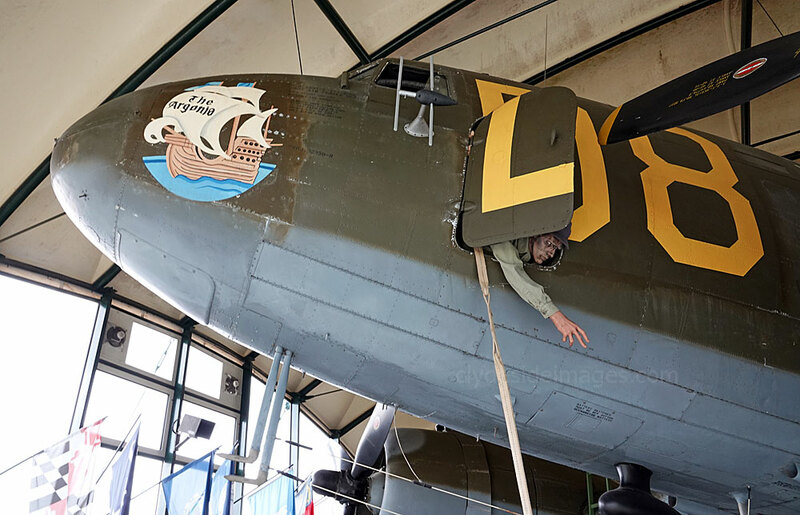 ​Having been to the Great War Battlefields of France and Belgium several times over the years, I finally made a long-anticipated trip to Normandy. 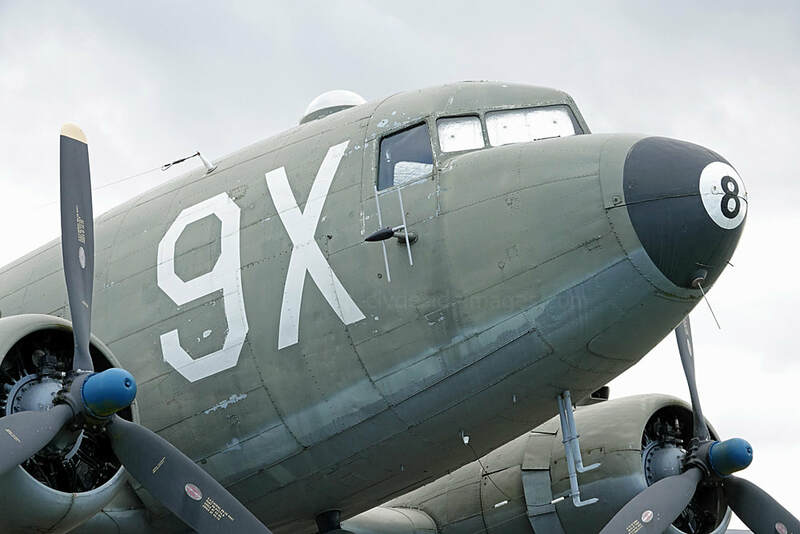 I checked out just some of the sites associated with Operation Overlord, the code name given to what was the largest amphibious operation in the history of warfare, but anyone with a serious interest in military history could easily spend a fortnight here. 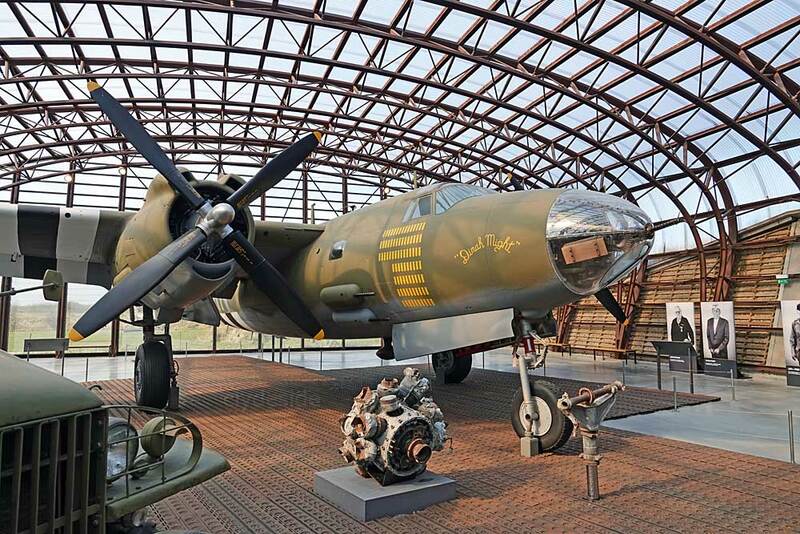 The relevant section, complete with background information and historical photographs, is now complete and can be accessed via this link: Normandy D-Day Sites. 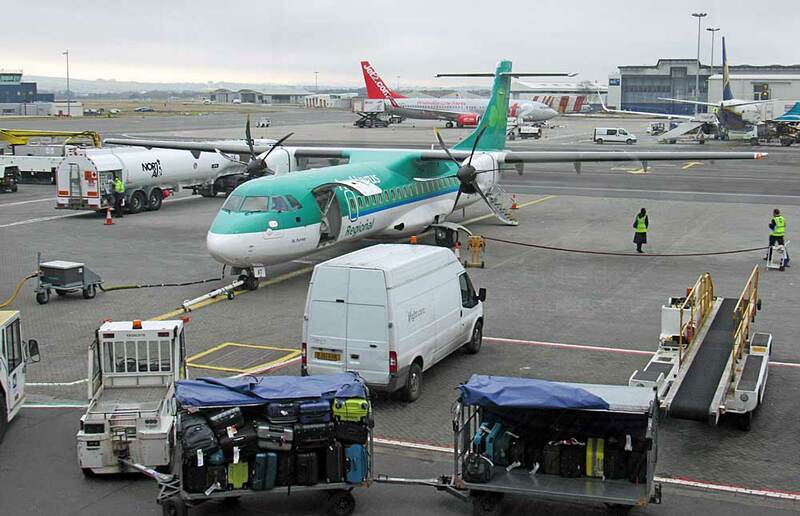 Rather than fly to Charles de Gaulle, with a commute across northern Paris followed by a 3 hour train journey to Caen, I opted for Aer Lingus Regional to Dublin followed by a Ryanair 737 to Paris Beauvais where a pre-booked rental car was waiting. I`d flown direct from Prestwick to Beauvais before which was ideal, but Ryanair dropped this route years ago. 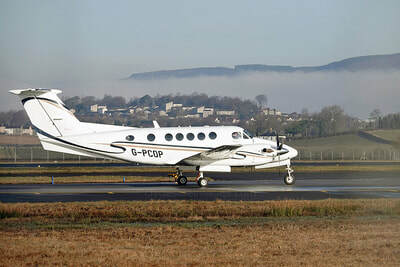 From Beauvais it was around a 3 hour drive to the hotel in Caen which lies close to the eastern end of the beaches. Right: My `Taxi` to Dublin: ATR 72-600 EI-FAT. 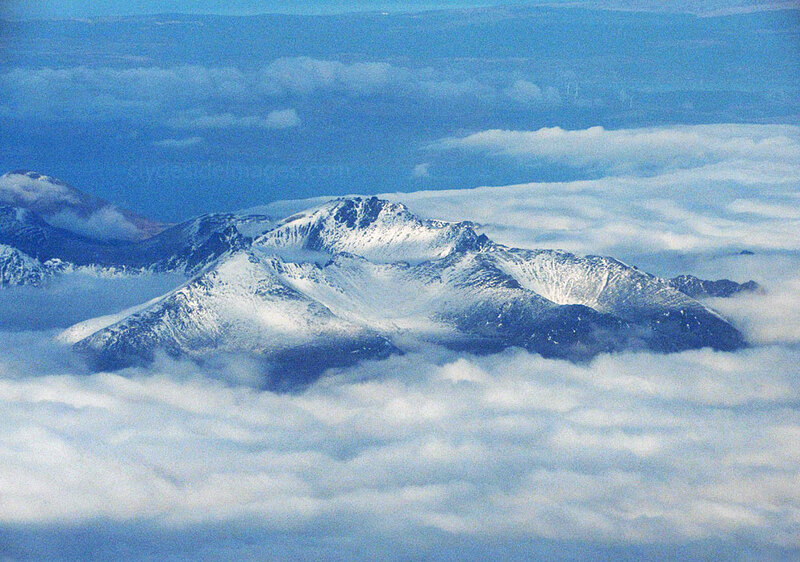 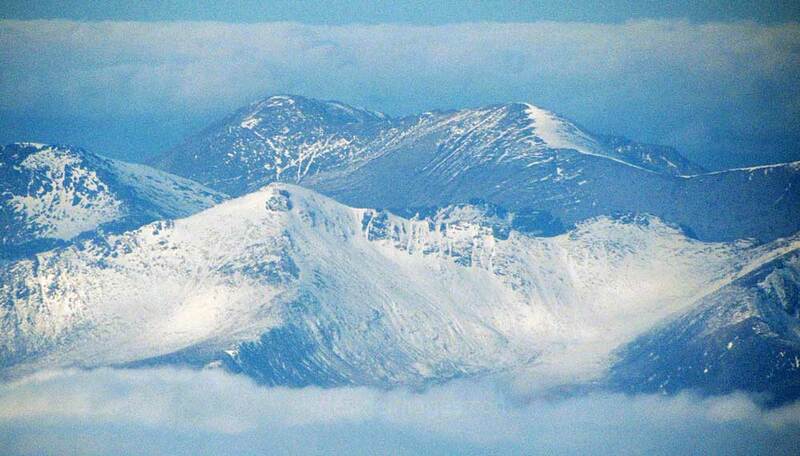 Although there was a fair degree of cloud cover on the way over many of the Scottish hills were clear and their summits looked more like Alpine peaks, especially Goatfell and its neighbours on Arran. In the above view of the Arrochar Alps, the dark rocky ridge of the Cobbler can be made out just left of centre. 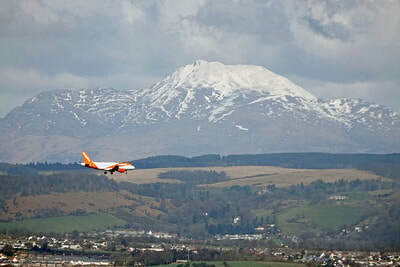 Above: A superb view of the Goatfell Ridge. 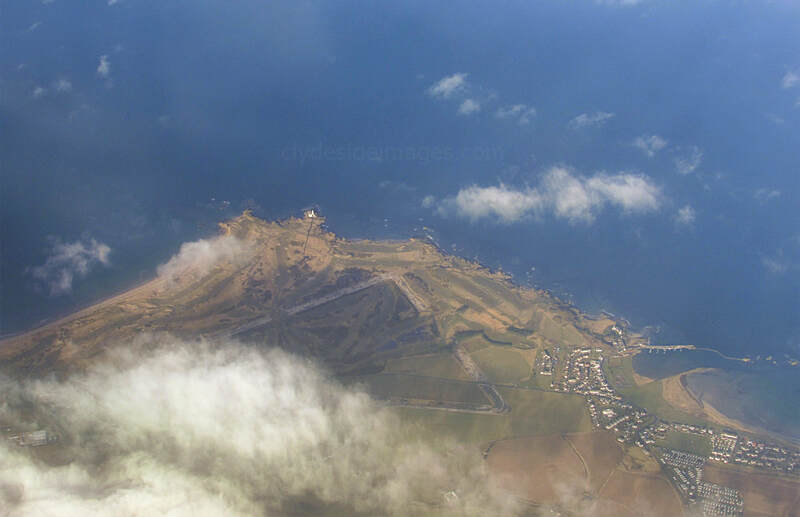 Further south the gaps were extensive and it was easy to identify the old RAF Turnberry Airfield (below), now part of the world-famous golf course currently owned by US President Donald Trump, and the adjacent lighthouse. 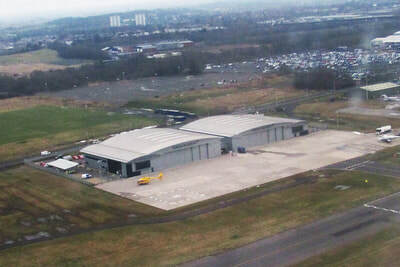 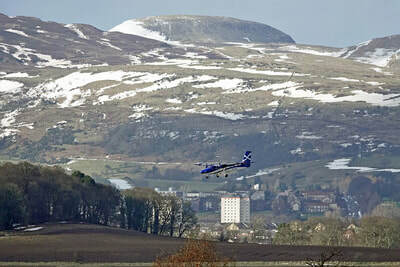 Originally a Royal Flying Corps aerodrome established during the latter stages of the Great War, aircrew including Americans, Australians and New Zealanders were trained in aerial gunnery here and at nearby Heathfield which was located at a site close to the present-day Prestwick Airport. 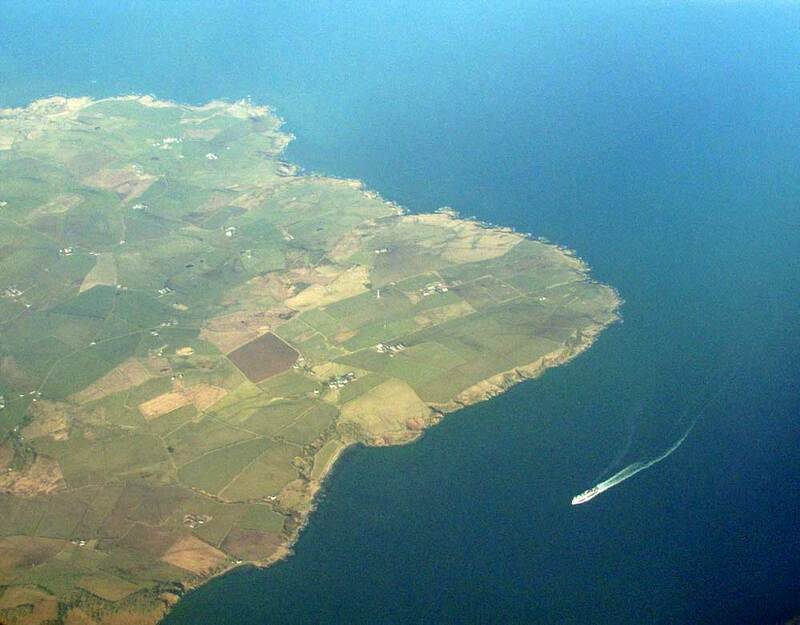 Two Irish Sea ferries were heading round Corsewall Point bound for Cairnryan. 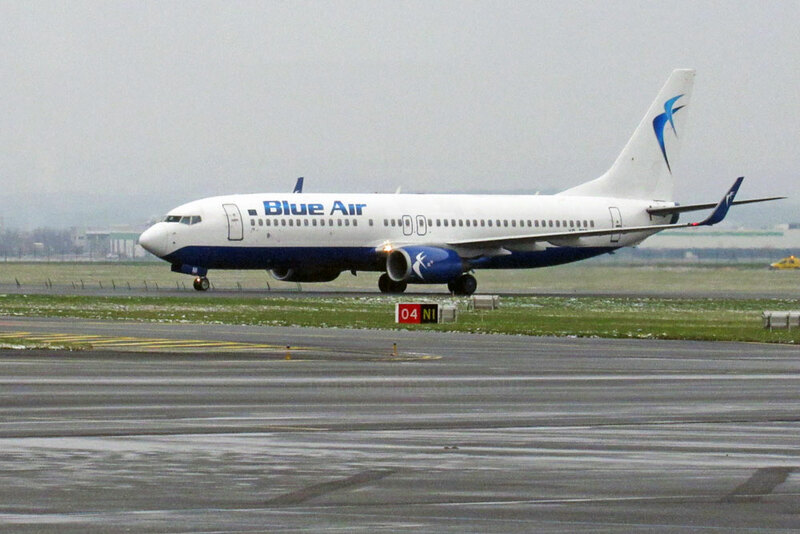 Dublin Airport was very quiet, but nothing compared to Beauvais - not the place to be if you`re keen on photographing aircraft as Ryanair 737s make up the vast majority of movements. 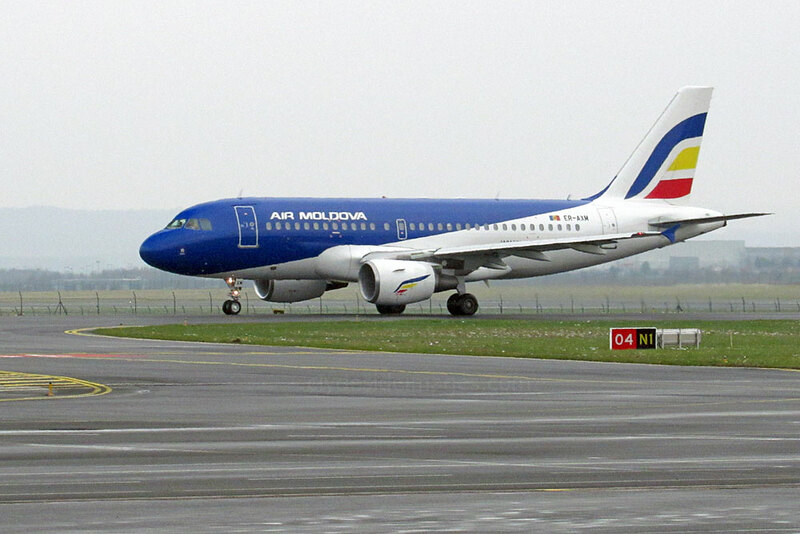 A Wizz Air Airbus was at the terminal when I arrived, while Blue Air 737 YR-BMM and Air Moldova A319-112 ER-AXM were the only planes worth snapping a week later. 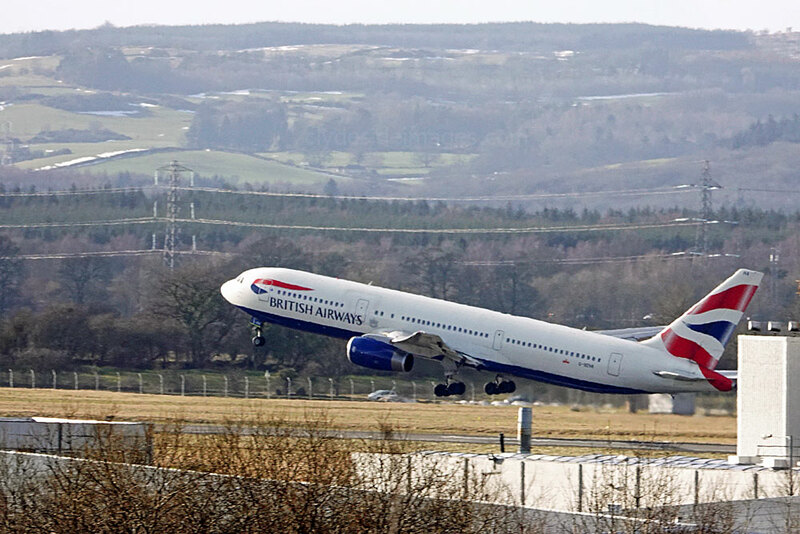 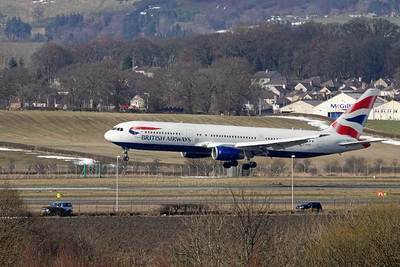 Boeing 767-336(ER) G-BZHA, working an afternoon Shuttle flight on Friday 9 March, puts the brakes on after landing. 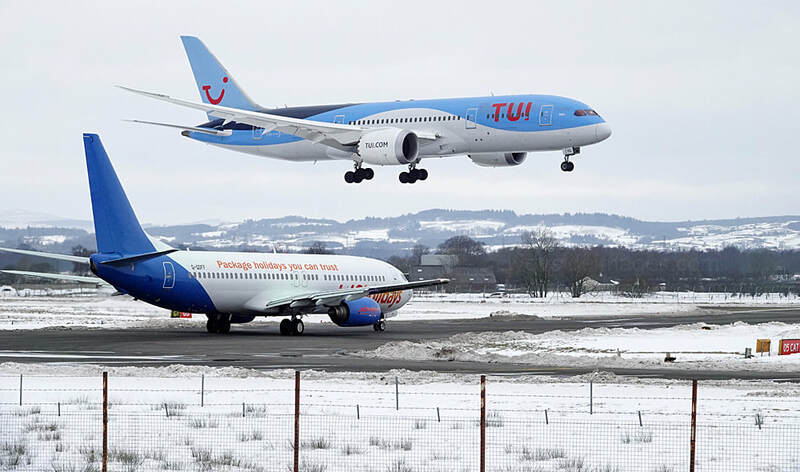 TUI Dreamliner G-TUIG was on a Caribbean run on Saturday 3 March. 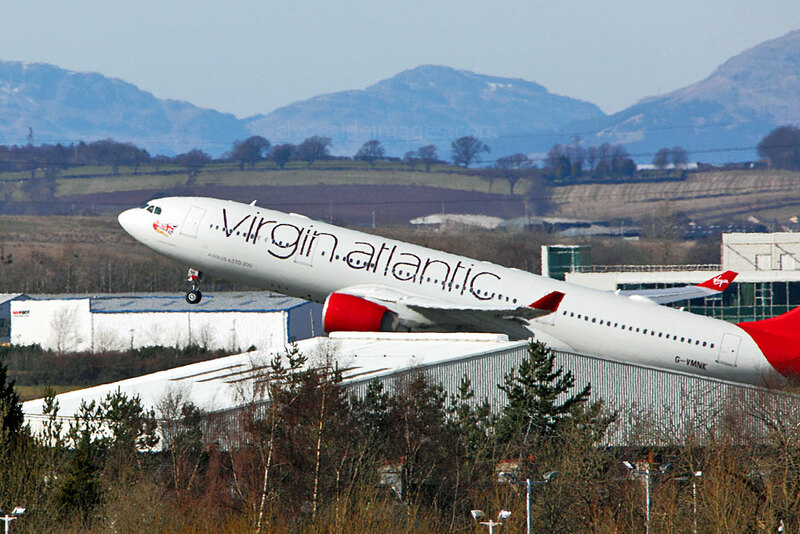 Another view of Virgin`s A330-223 G-VMNK taking to the air for some crew training on the 20th. 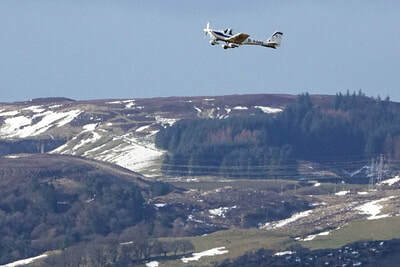 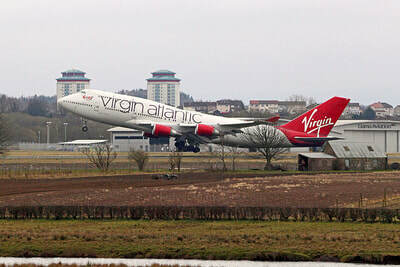 Virgin Atlantic`s `Ladybird` G-VAST sets off for the Florida sunshine on Saturday 31 March. 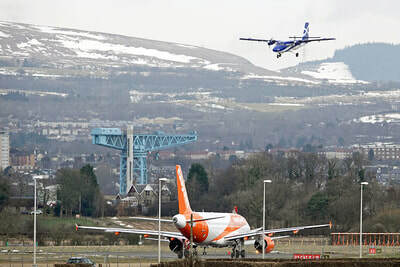 ​Boeing 737-8AS(WL)s EI-GJG (f/v) and EI-GJH (f/v) both Ryanair, Airbus A319-111 OE-LKE easyJet Europe (f/v), plus A320-211 D-AIPH Lufthansa (27th); ​Boeing 757-256(WL) TF-FIU Icelandair (Aurora Borealis livery), Boeing 757-256 G-ZAPX Titan Airways, Airbus A320-232(WL) G-WUKF Wizz Air UK (f/v), A320-214(WL) D-AIUO Lufthansa (f/v) and A320-214(WL) G-EZPS easyJet (f/v) (28th); ​Boeing 757-256(WL) TF-FIU Icelandair (Aurora Borealis livery), Boeing 757-256 G-POWH Titan Airways, Airbus A320-214 OE-IJP easyJet Europe (f/v), plus A320-271N D-AINH Lufthansa (f/v) worked the day`s Frankfurt / Glasgow service (29th); Boeing 777-31H(ER) A6-EPO Emirates (Expo2020 colours) (30th); ​Airbus A320-214(WL)s D-AIUN and D-AIWB Lufthansa (both f/v), A319-111 OE-LKG and A320-214(WL) OE-IVQ easyJet Europe (both f/v), plus Embraer ERJ-190STD PH-EZX KLM Cityhopper (Skyteam colours) (31st). 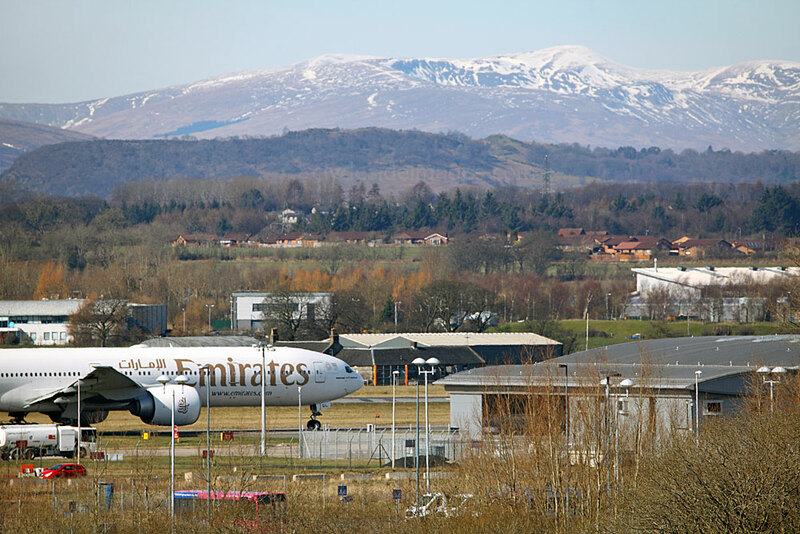 Emirates Boeing 777-31H(ER) A6-EPO in Expo 2020 colours worked the early Dubai / Glasgow service on the 30th. Below: This dire `top-half only` record shot was the best I could manage of Oman Air 737 A40-MB on Sunday 11 March due to piles of slowly melting snow screening the lower fuselage. 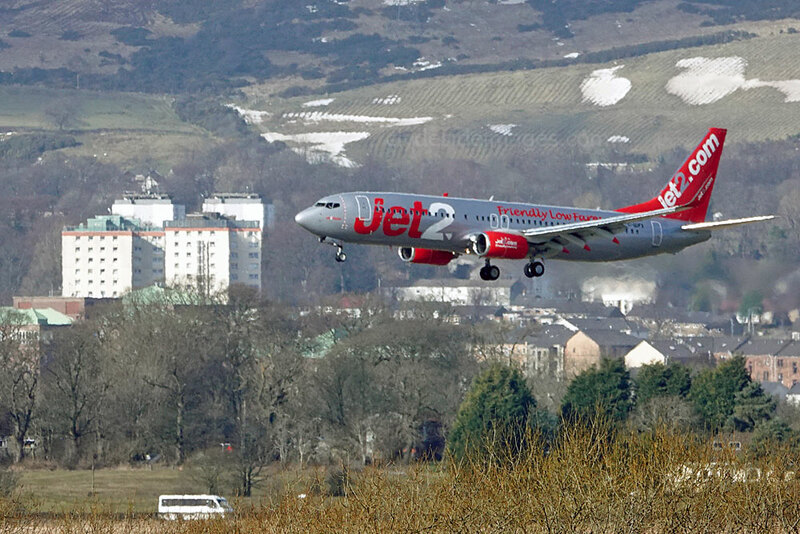 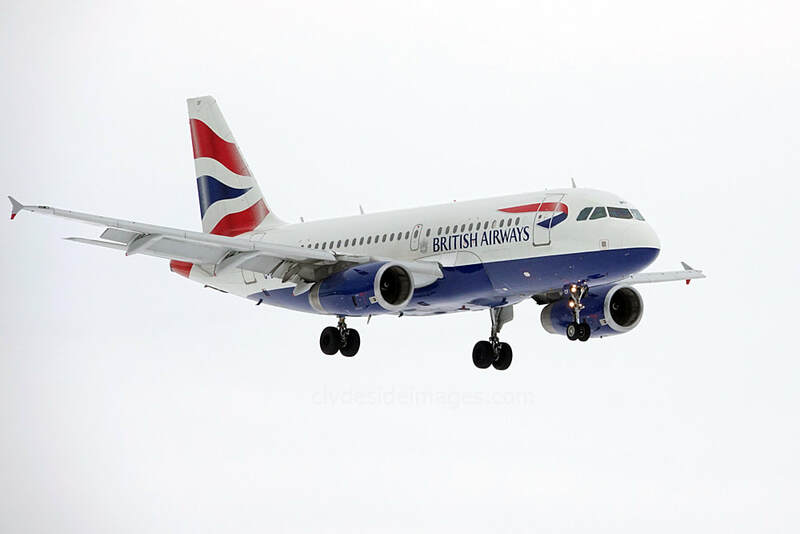 The aircraft was the second of the airline`s new 737 MAXs to night-stop at Glasgow on delivery from Boeing Field, Seattle and landed at 16:15 hrs on the 10th. 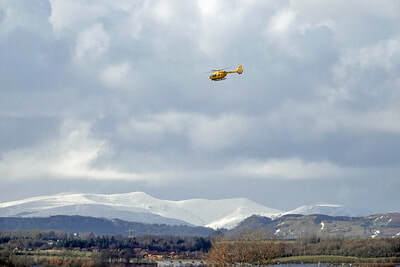 It set off on the second stage of its journey at 11:30 hrs on Sunday morning. 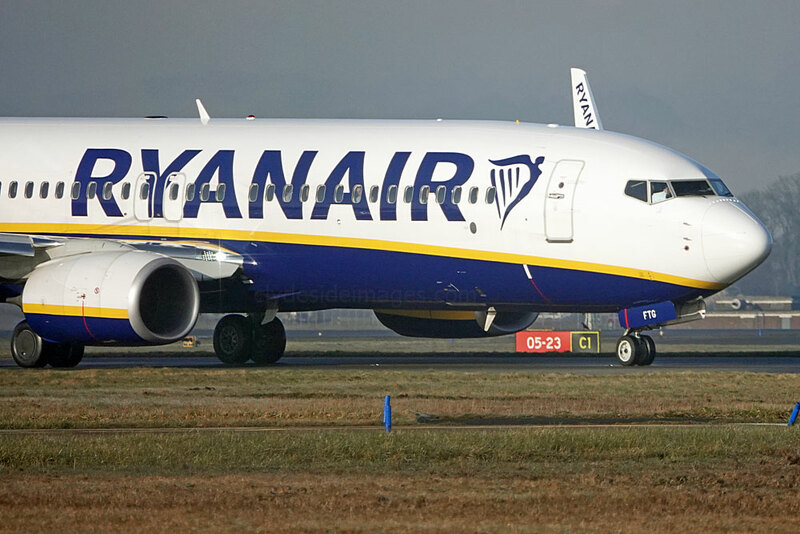 Earlier this month, Ryanair revealed that it has entered into a binding agreement with former Formula One champion Niki Lauda to support his plan to develop a new Austrian airline based in Vienna called LaudaMotion. Austrian AOC (Air Operator Certificate) holder LaudaMotion has recently acquired many of the assets of the former Niki Airline, including Airbus A320s. 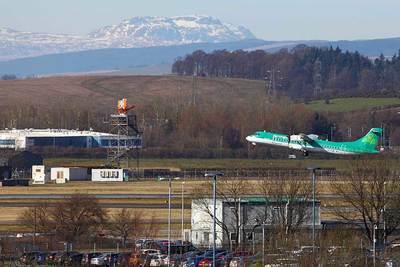 Under the deal Ryanair will acquire an initial 24.9 percent stake in LaudaMotion, then expand its holdings to as much as 75 percent, subject to EU competition approval. 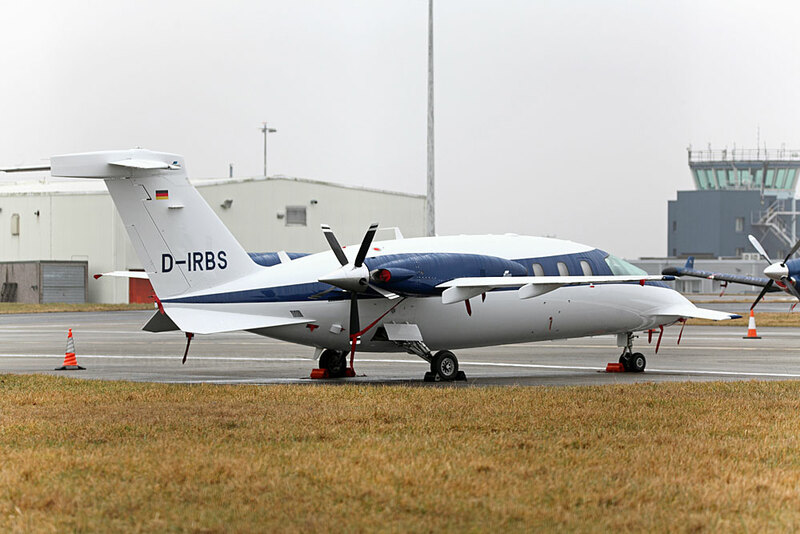 The plan is to launch scheduled and charter services from Germany, Austria, and Switzerland, mainly to several Mediterranean leisure destinations. ​Ryanair has agreed to provide financial and management support to LaudaMotion and to wet-lease the new airline six of its Boeing 737-800s. 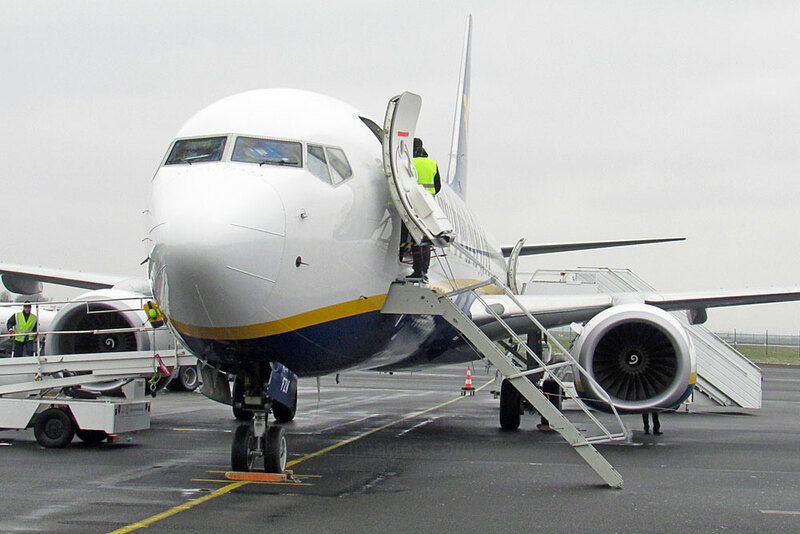 ​Ryanair also announced that from October 2018 it will be flying to Ukraine from various European destinations including London Stansted. 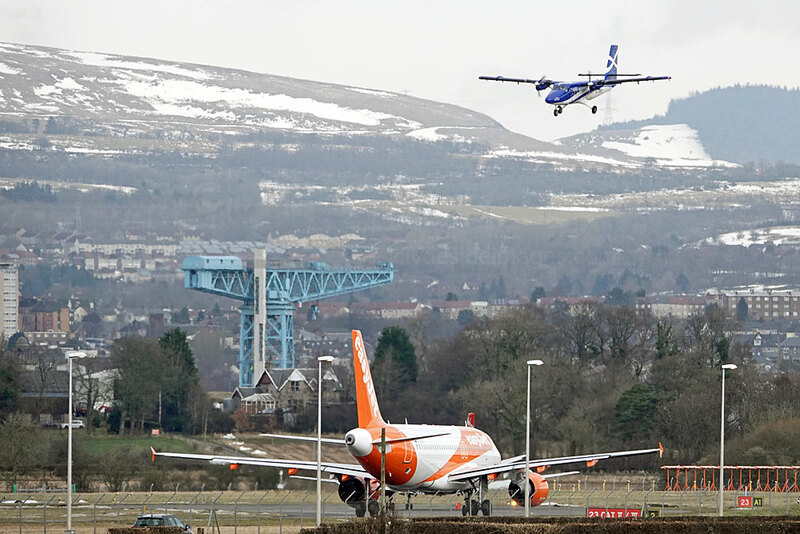 Meanwhile, at least two of Ryanair`s dropped routes from Glasgow will continue. 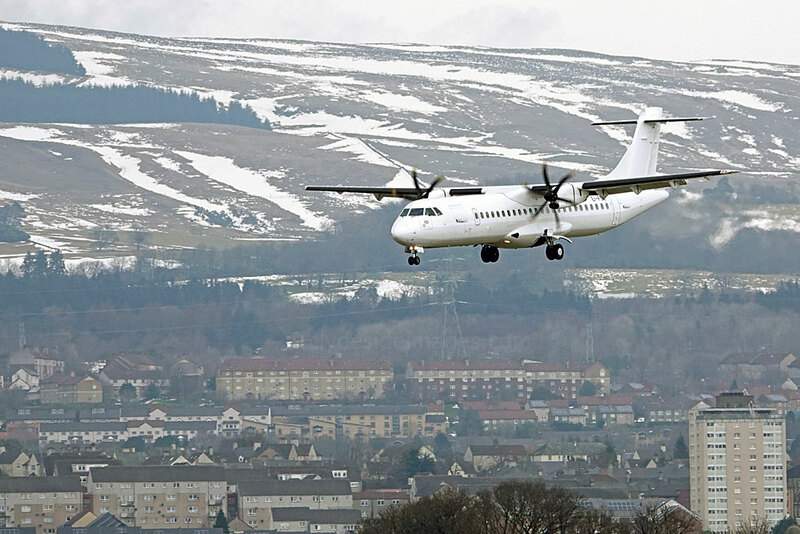 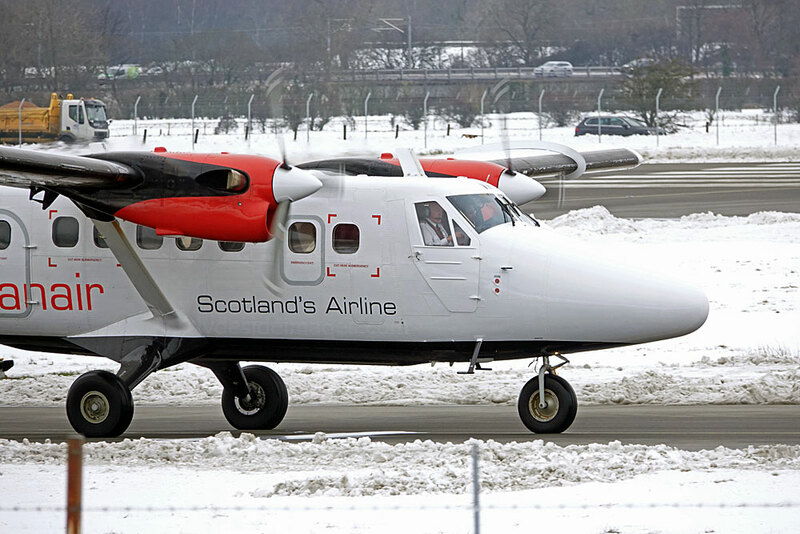 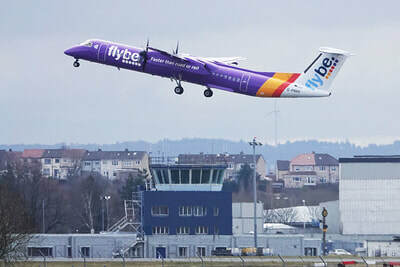 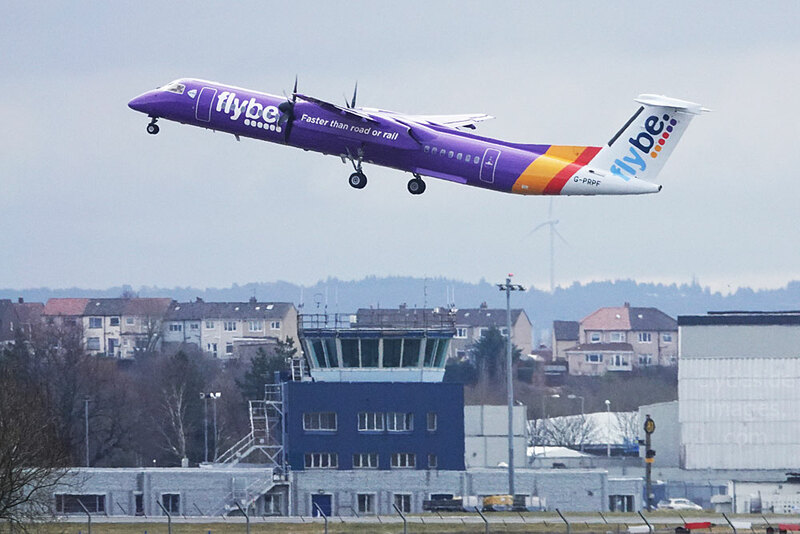 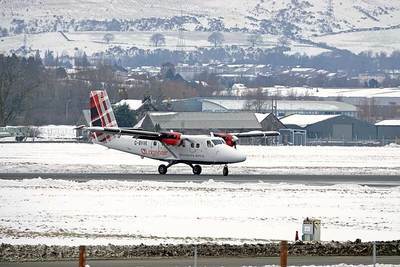 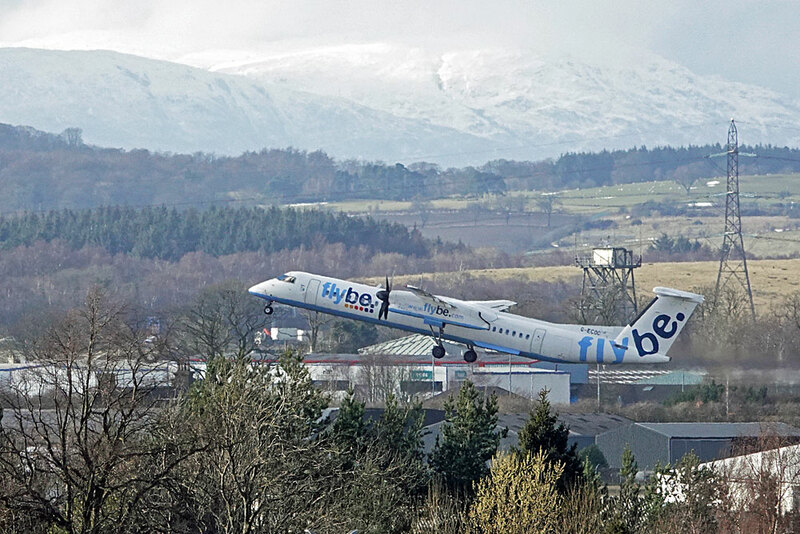 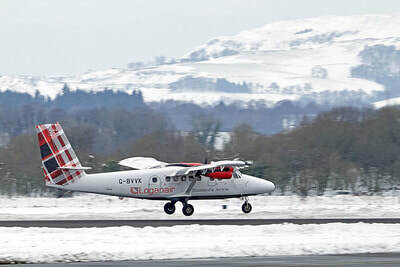 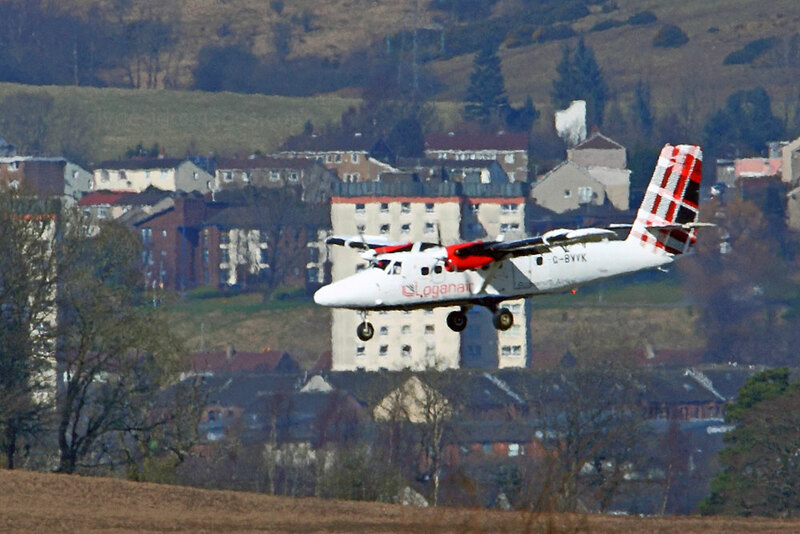 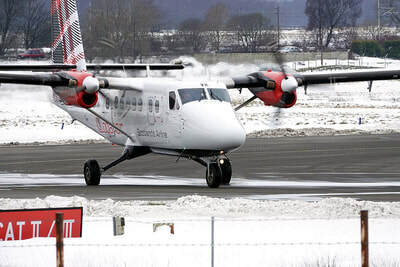 Loganair announced its intention to launch a Glasgow to Londonderry service after the Irish low-cost operator discontinues the route in the autumn. 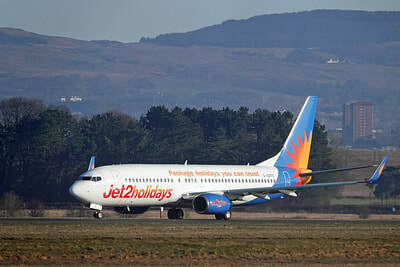 The regional carrier will start the link on Sunday October 28, the day after the Ryanair service ends. 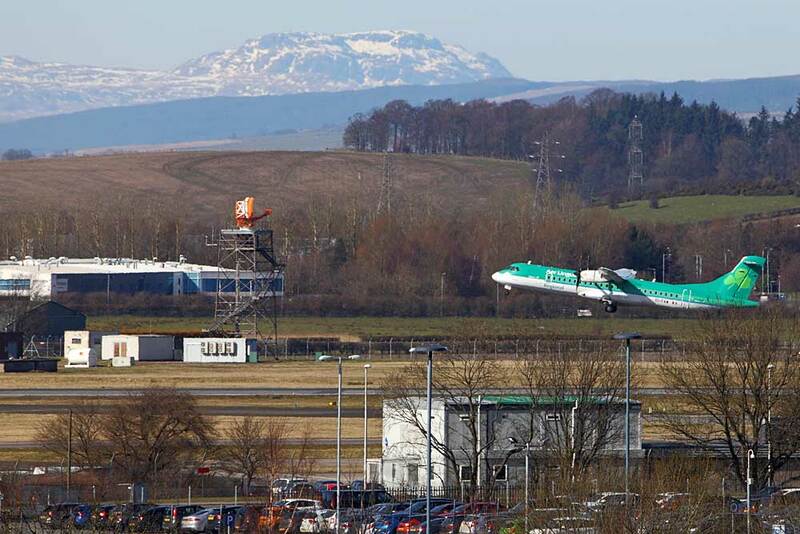 Then, earlier this month, Lufthansa, apparently taking advantage of Ryanair’s pending departure from here, commenced a new service between Frankfurt and Glasgow. 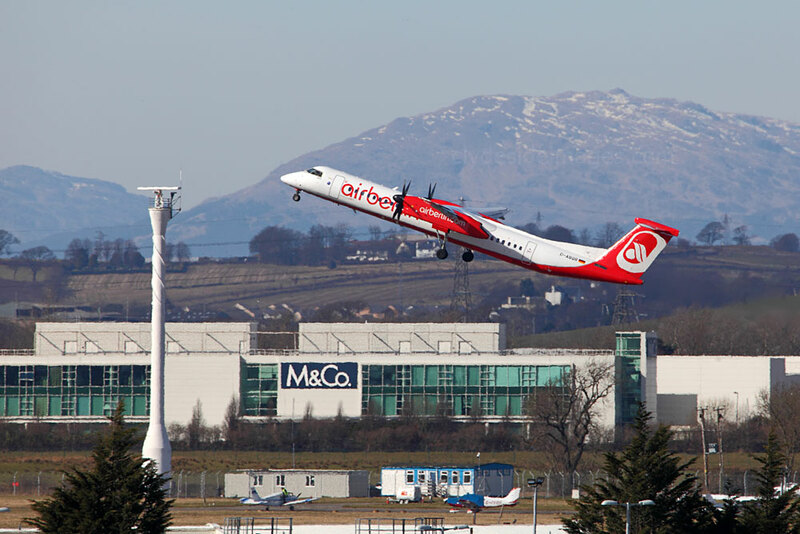 ​The addition of the Frankfurt route will complement the five weekly flights the airline currently operates between Glasgow and Munich. 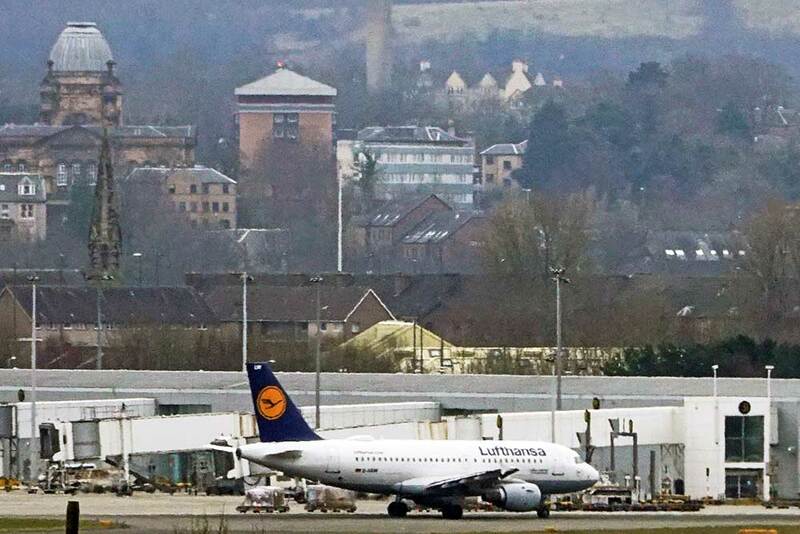 This means that there will now be 12 Lufthansa flights, served by Airbus A319 or A320 series aircraft per week from / to Glasgow compared with just one per week six months ago. ​Despite the increased opportunity to fly direct to either Frankfurt or Munich from Glasgow, Lufthansa`s fares are likely to be significantly higher than those previously offered by Ryanair. 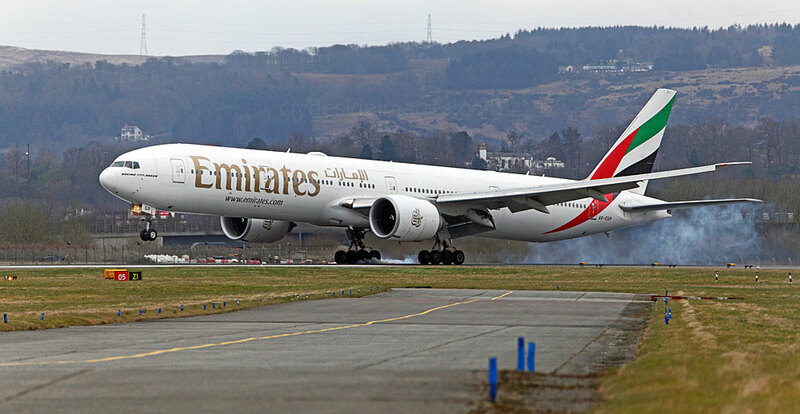 Another couple from Emirates: Dubai-bound A6-EGL taxis for `Alpha One` on Tuesday 20 March and A6-EGP burns rubber on `05`s tarmac on the 31st. 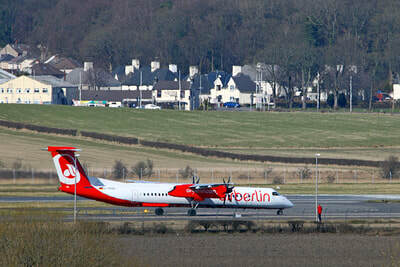 Eurowings Bombardier DHC-8-Q-402NG D-ABQR, still in Air Berlin colours, heads back to Dusseldorf on Tuesday 20 March. 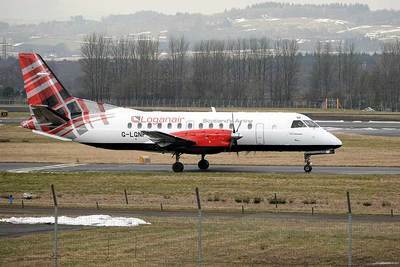 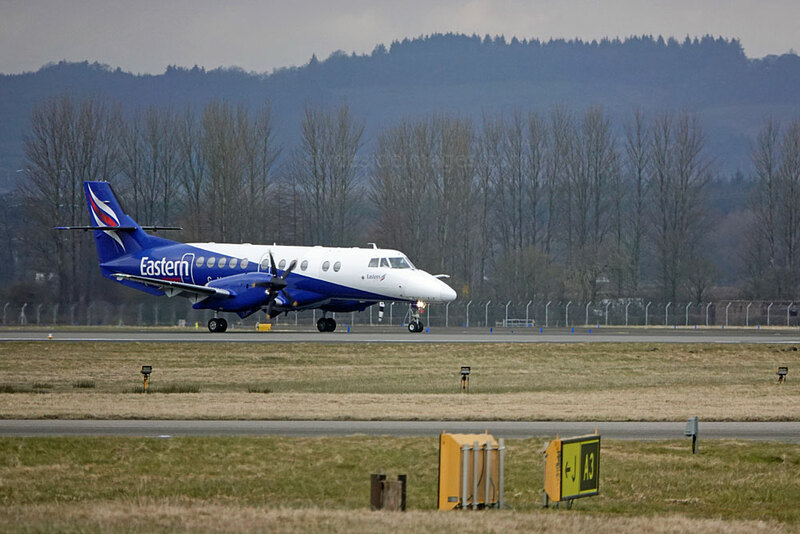 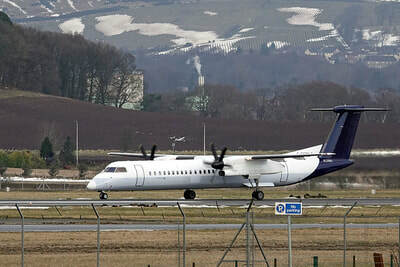 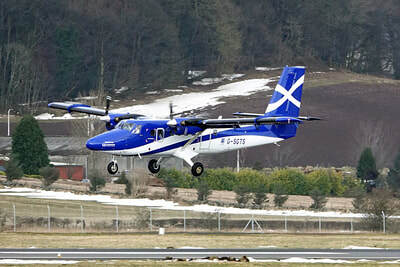 Eastern Airways officially ended its Glasgow-Stornoway and Aberdeen-Kirkwall services on 4 March 2018 following several months in direction competition with Loganair, an enterprise which which proved very costly for both carriers. 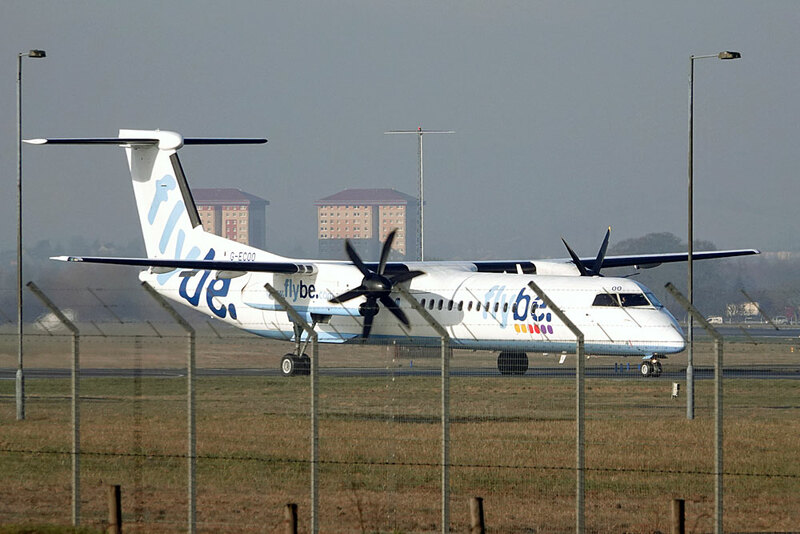 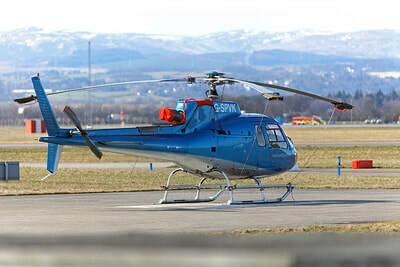 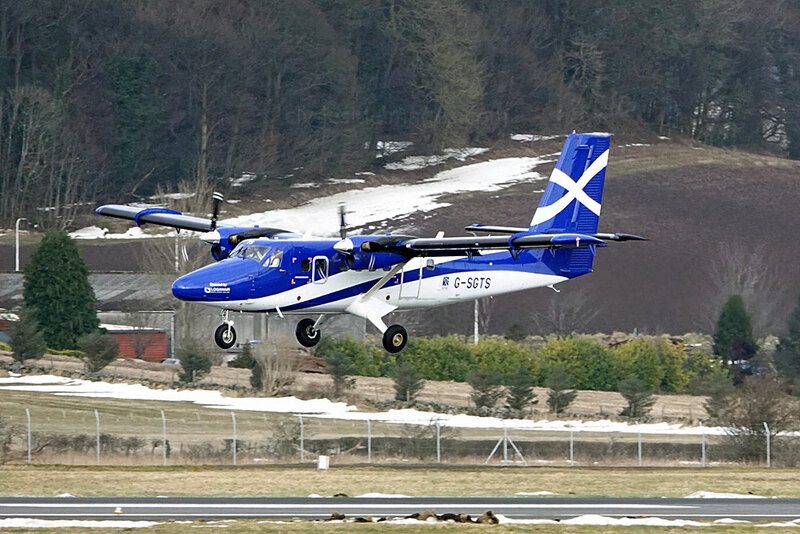 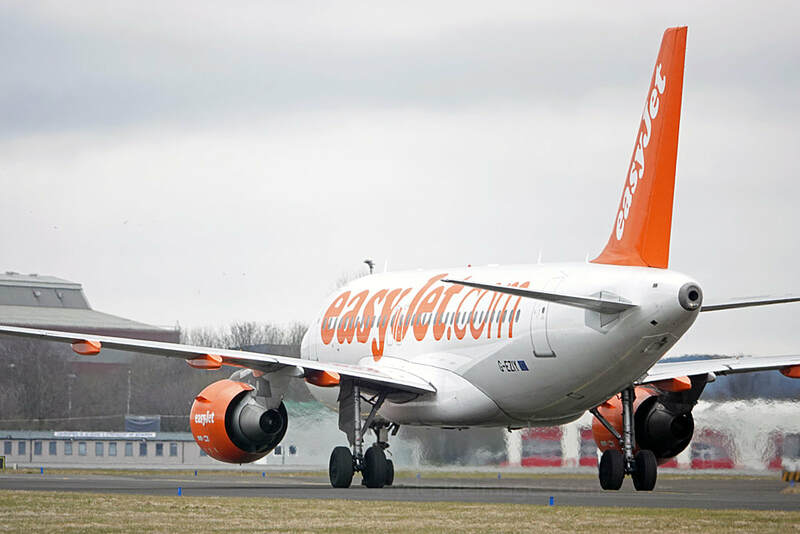 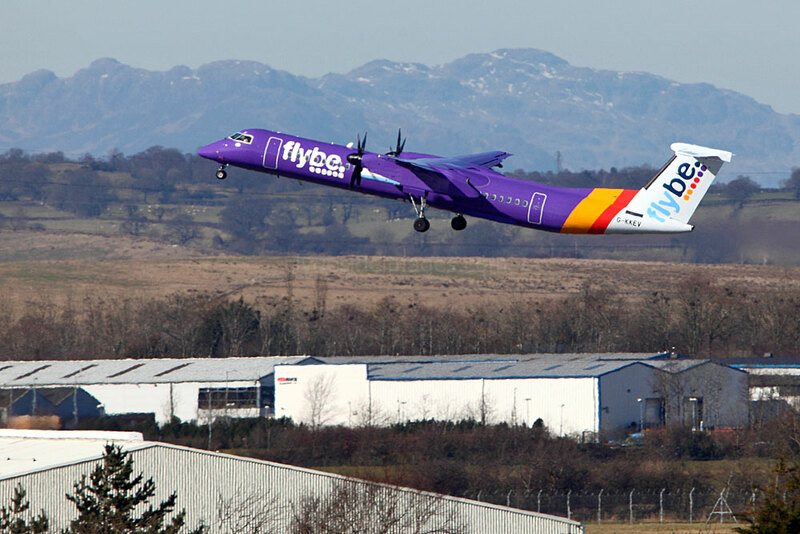 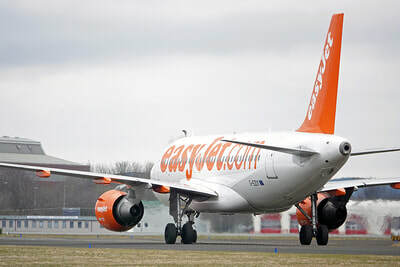 Eastern will now concentrate on operating 13 flights per week between Aberdeen and Stornoway. 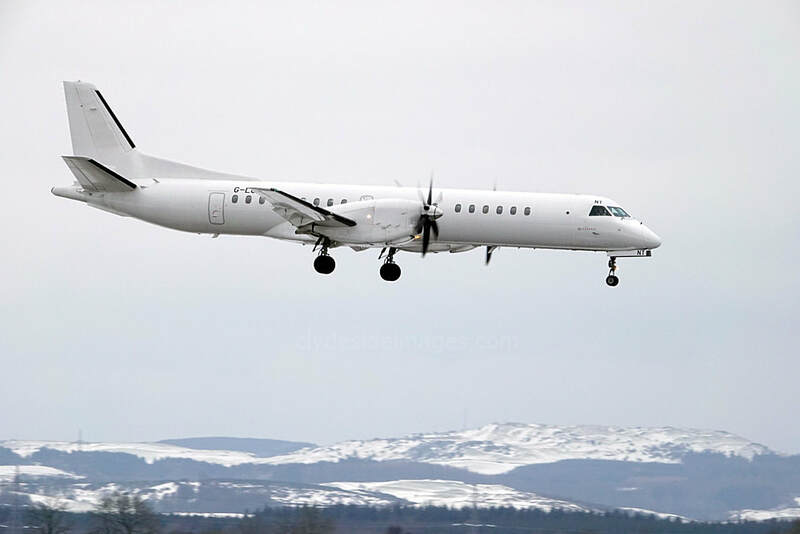 The only noteworthy ​turboprops calling in this month were Dash 8s - D-ABQO Eurowings (f/v) on the 6th, and C-FEXZ Voyageur ​(United Nations) on the 24th. 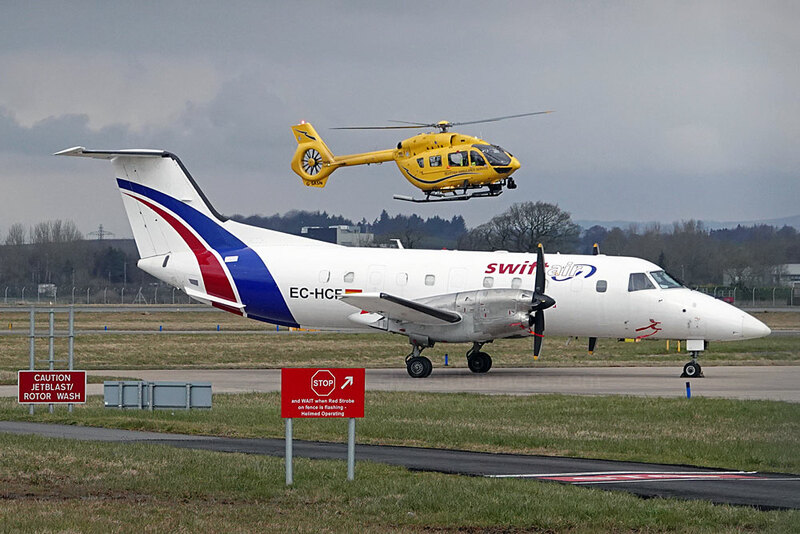 Swiftair Embraer Emb-120FC EC-HCF was parked on the Gama apron on Friday 30 March. 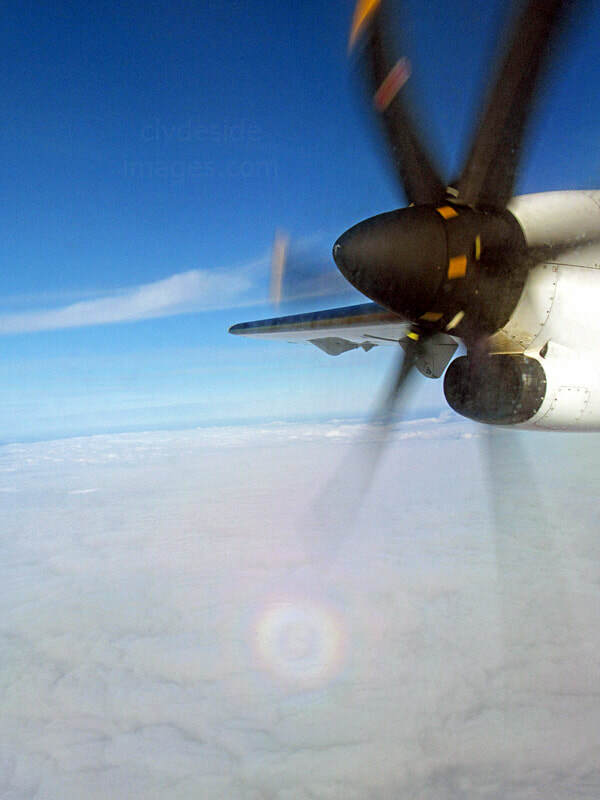 All-white Eurowings Dash 8 D-ABQP worked the Dusseldorf / Glasgow route on Saturday 31 March. 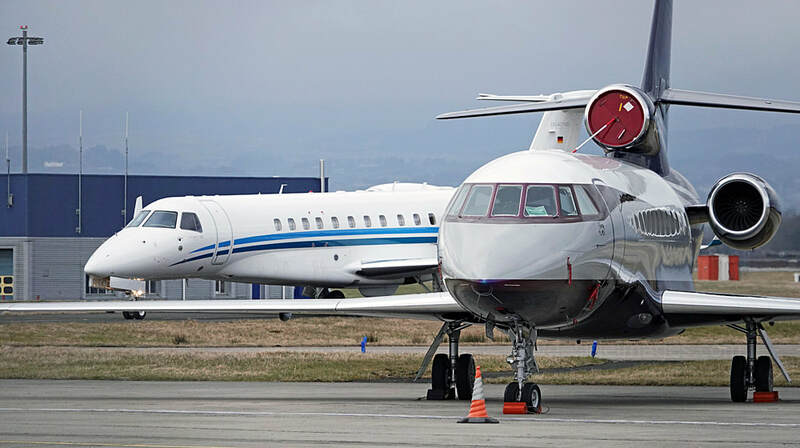 Air Hamburg Embraer EMB-135BJ Legacy 650 D-AHOS about to join Falcon 200EX G-EGVO on the executive ramp, Friday 30 March 2018. 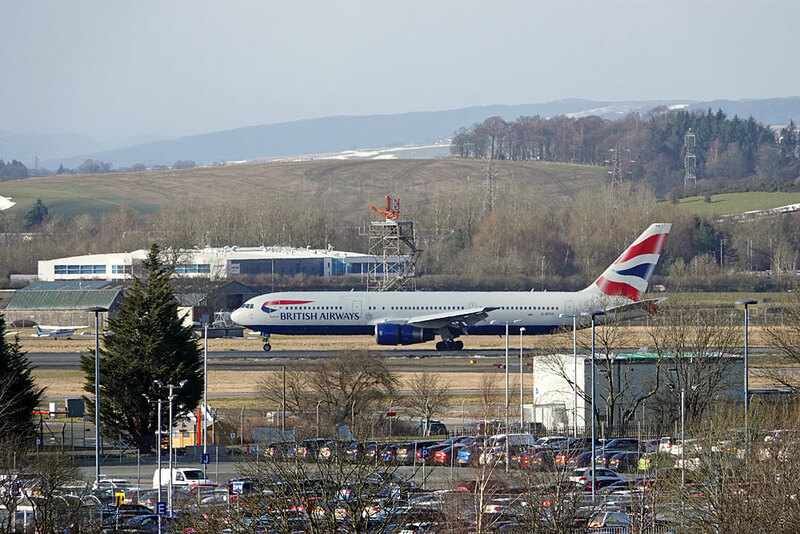 ​Glasgow didn`t see much in the way of corporate traffic passing through this month but things should pick-up a bit as we head towards summer. 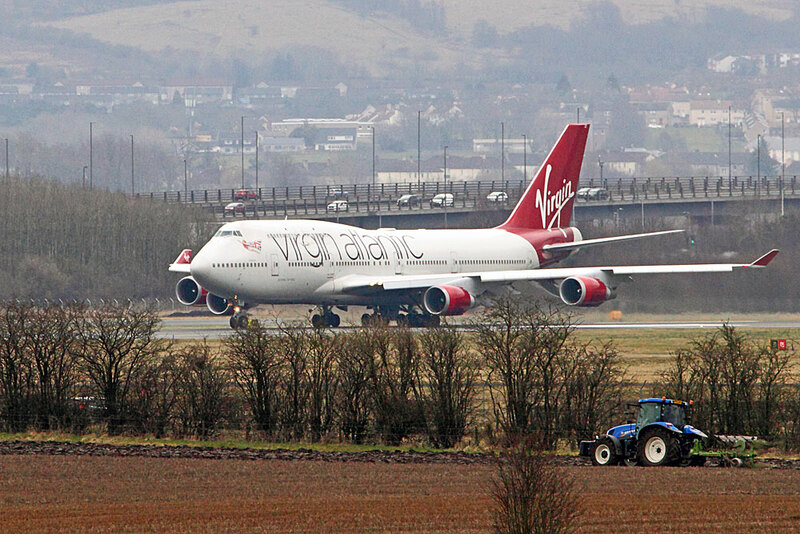 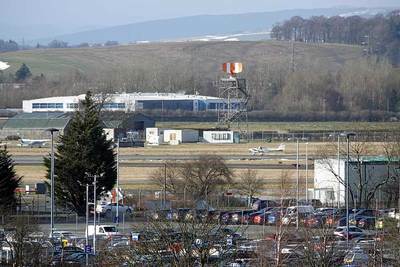 Over the last couple of years the airport has become an overspill parking area for some of the biz-jets visiting Edinburgh Airport. After depositing passengers the aircraft have had to overnight here due to lack of room. 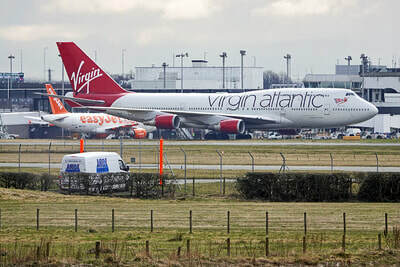 It now seems that the ground at the east end of the capital`s old airfield, currently used to park smaller planes, has been fenced-off and may eventually be sold for housing, therefore space to accommodate non-airliner types is at a premium. 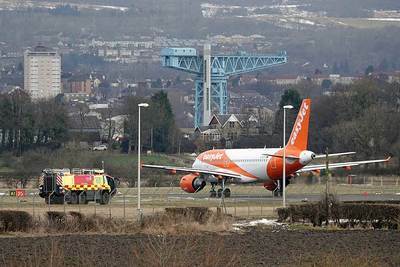 If this is the case, biz and general aviation traffic will have to night-stop elsewhere, so Glasgow, Prestwick, Dundee and possibly Perth and Cumbernauld may see quite a few extra visitors. 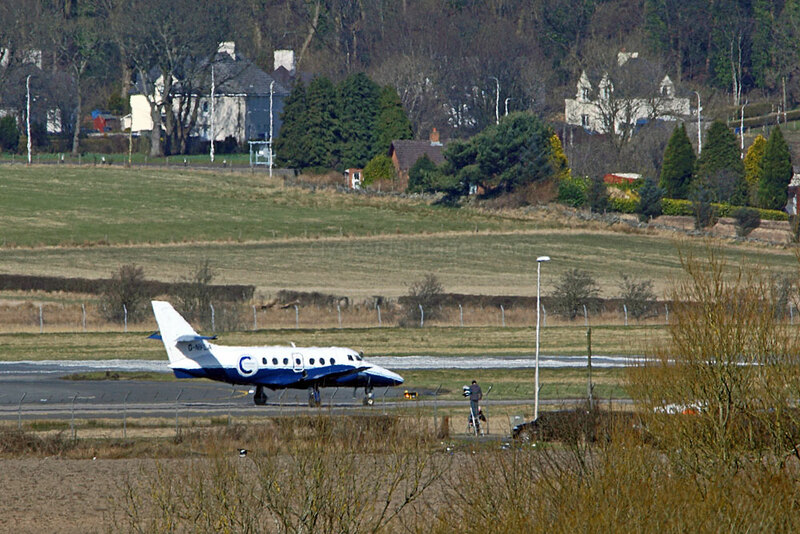 The first biz-jet to visit this month was Gulfstream IV-SP N478GS which flew in from Bangor, Maine on the 3rd and night-stopped. 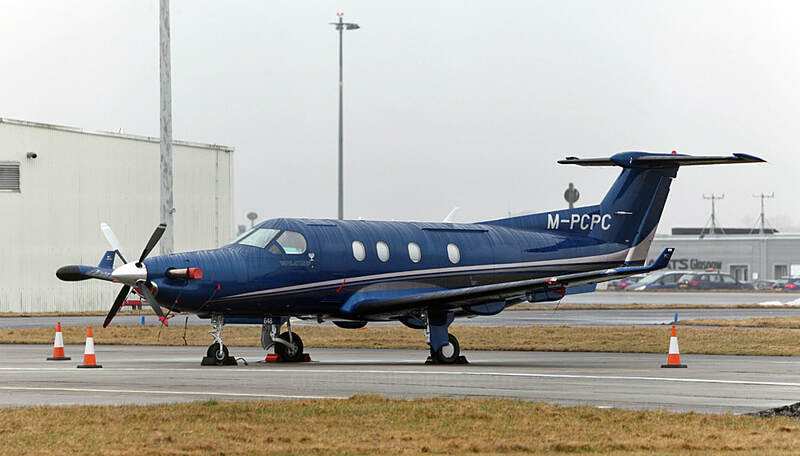 Phenom 300 CS-PHB, Saxon Air`s Hawker Beechcraft 900XP G-KLNE. 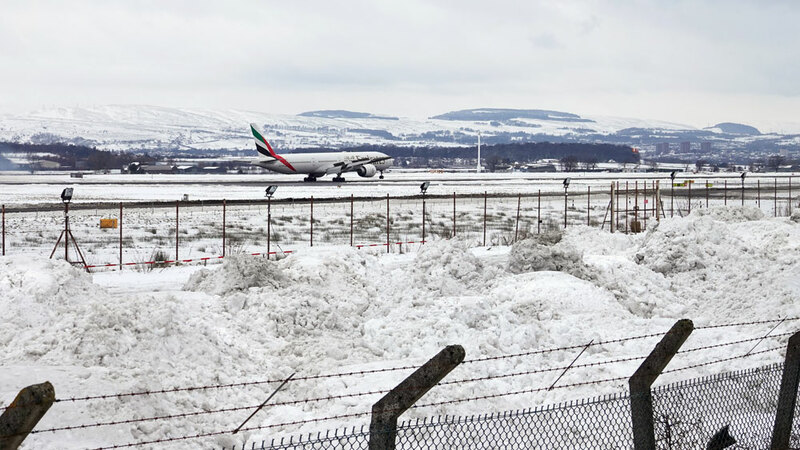 and a pile of mucky snow. 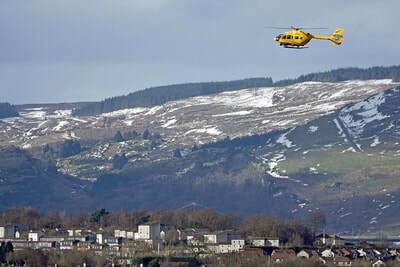 Area Juliet, 9 March 2018. Cessna 650 Citation III HA-JEV (f/v) (13th); ​Embraer EMB-135BJ Legacy 650 G-YMKH (f/v) and Bombardier Global 5000 C-GJCB (14th); ​Cessna 680A Citation Latitude CS-LAS NetJets (15th); Cessna CitationJet CJ3 G-YEDC (16th); ​Cessna Citation XLS CS-DXY (17th); ​Citation XLS+ G-JALS and Citation Mustang G-FFFC (22nd); ​Learjet 45 M-ABGV (23rd); ​Cessna Citation XLS G-XSTV Arena Jet and all-black Bombardier Challenger 850 LY-ZAB KlasJet (24th); Embraer Phenom 300 G-JMBO (25th); ​Dassault Falcon 200EX G-EGVO (27th); ​Falcon 2000LXS F-HALG (f/v) and Cessna Citation Excel G-IPAX (28th); Phenom 300 G-JMBO (29th); ​Embraer EMB-135BJ Legacy 650 D-AHOS Air Hamburg (30th); ​Gulfstream IV-SP N478GS and Citation XLS+ G-JALS (31st). 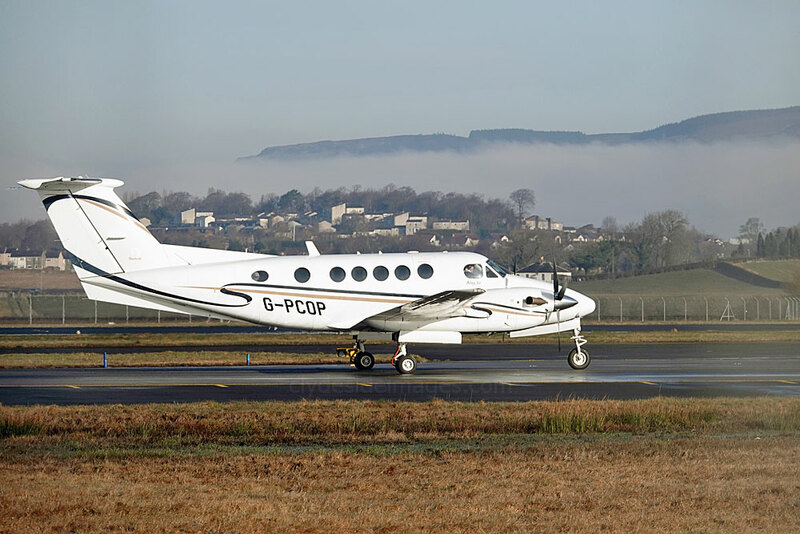 Pictured above on the morning of Sunday 11 March after landing the previous afternoon and night-stopping is Manx-registered Pilatus PC-12 M-PCPC. 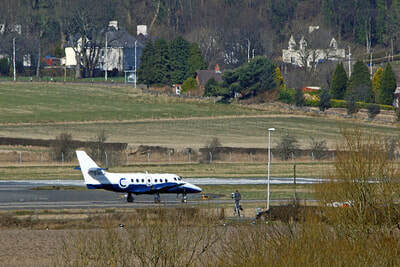 The aircraft was making its first visit to the airport. 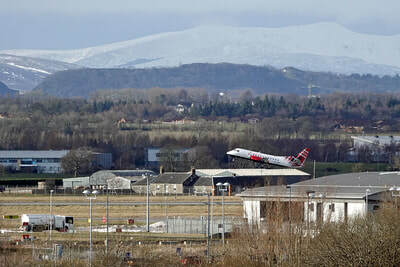 The grainy view of Area Juliet and the Gama apron was taken from my Dublin-bound Aer Lingus ATR on the morning of Monday 12 March. Present are Piaggio P-180 D-IRBS, CitationJet CJ3 G-YEDC, PA-31 G-IFIT, King Air M-CDBM and, on the right, Canadian Challenger 604 ​C-FBCR (f/v) ​which had arrived earlier that morning. 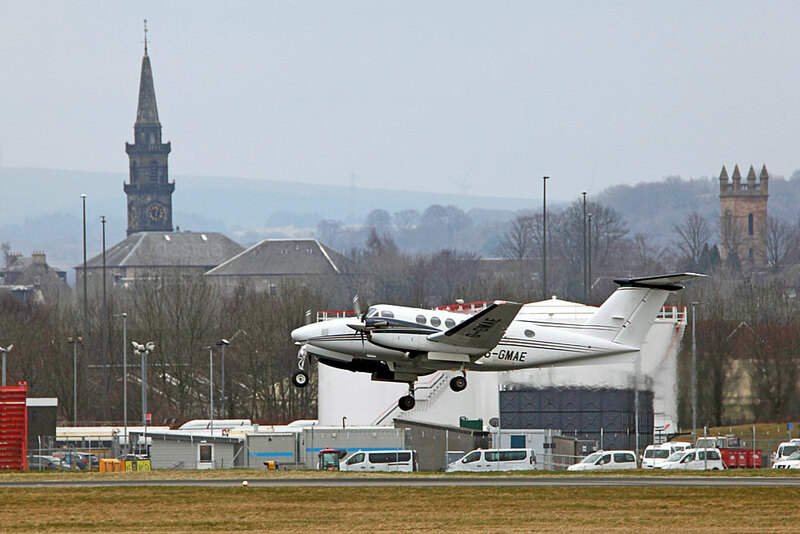 ​Piper PA-31 Navajo G-IFIT and King Air 200 M-CDMS (12th); ​King Air 200 M-WATJ (13th); ​King Air 200 G-FLYK and Cessna 208 Caravan N628JN (f/v) (14th); ​Cessna 421C Golden Eagle. 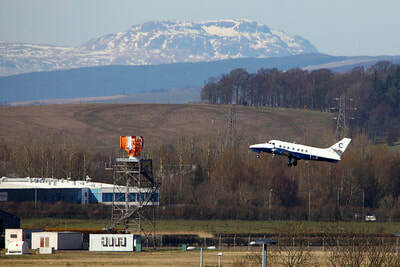 G-ISAR, plus King Air 200 G-FLYK returned (15th); ​King Air 200 G-NIAA and Agustawestland AW109SP Grand New G-SGRP (16th); ​Eurocopter AS 350B3 Ecureuil G-SPVK (18th); Jetstream 31 G-NFLA, King Air 200 G-IASB, Piper PA-23 Aztec G-CALL and PA-28 Cherokee Warrior G-BOYH (f/v) (20th); King Air 90GTx G-MOSJ (21st); ​SOCATA TBM-850 N492B (f/v) and AS350B2 Ecureuil G-OGUN (f/v) (22nd); ​Piaggio P-180 Avanti PH-HRK (23rd); ​Cessna 208 Caravan N533DL (f/v) and King Air 100 N3532 (26th); King Air 200 G-FLYW (28th); ​SOCATA TBM-910 N910TX (f/v), Pilatus PC-12 M-YBLS, King Air 200 G-FLYK (right) and AW189 G-MCGR HM Coastguard (29th). 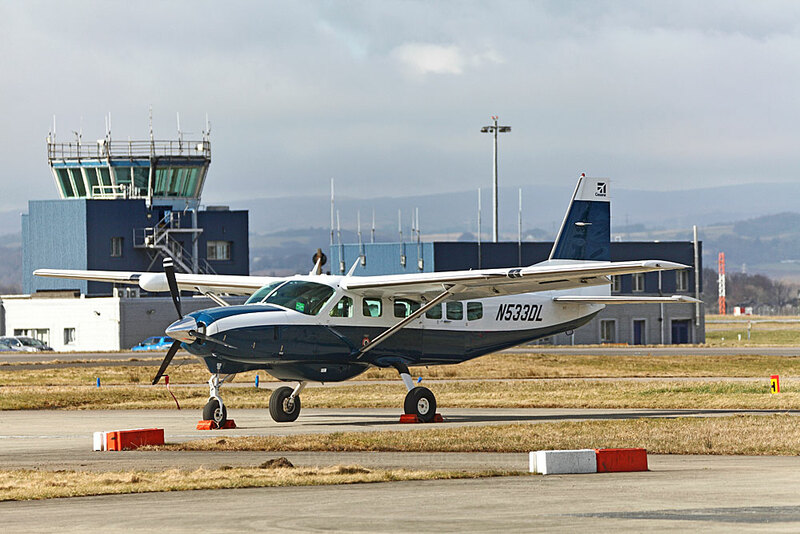 Cessna 208 Caravan N533DL on its first visit to the airport, Monday 26 March 2018. 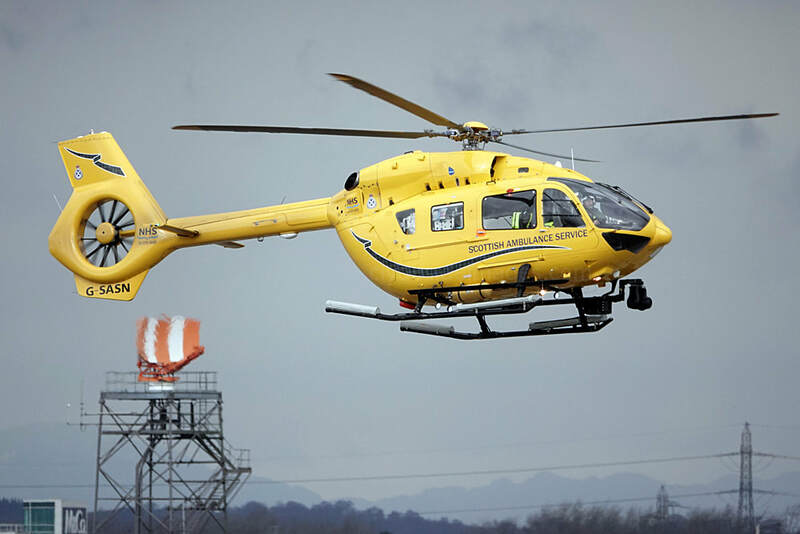 Working in partnership with the Scottish Ambulance Service (SAS), SCAA is an integral part of Scotland’s frontline emergency response network, attending to trauma incidents and medical emergencies across the country, covering an area of more than 30,000 square miles. 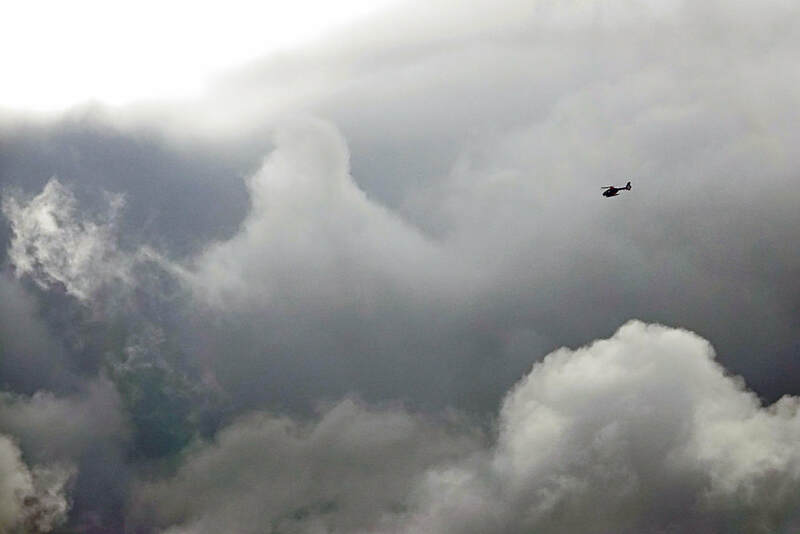 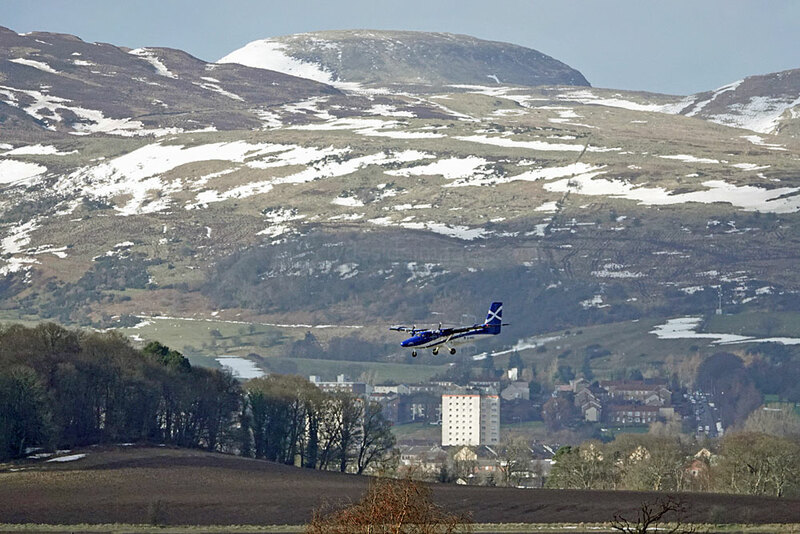 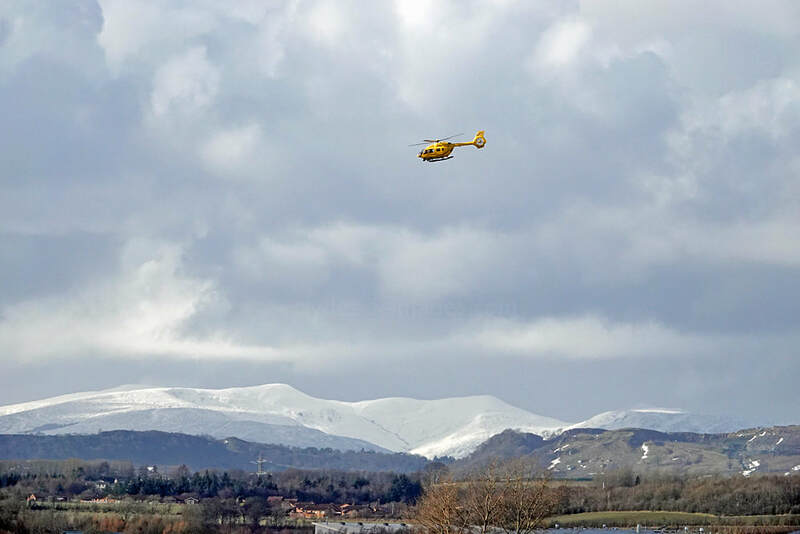 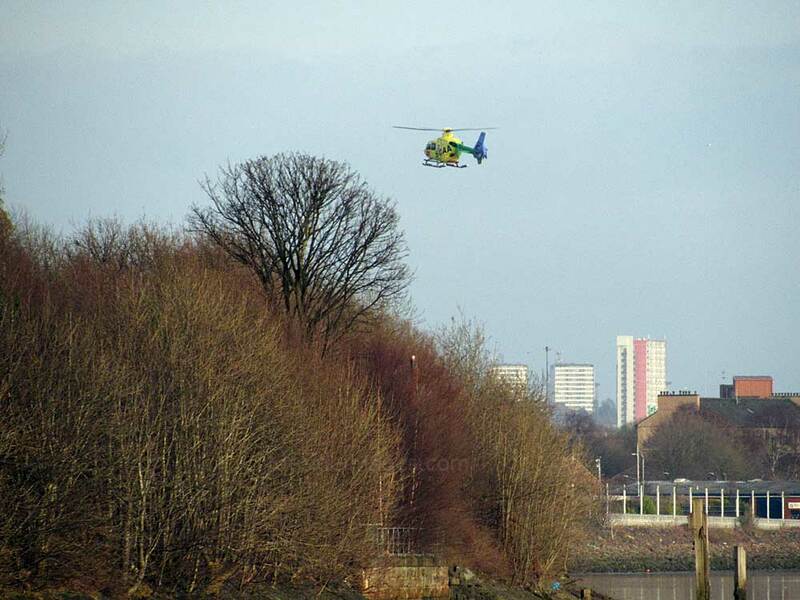 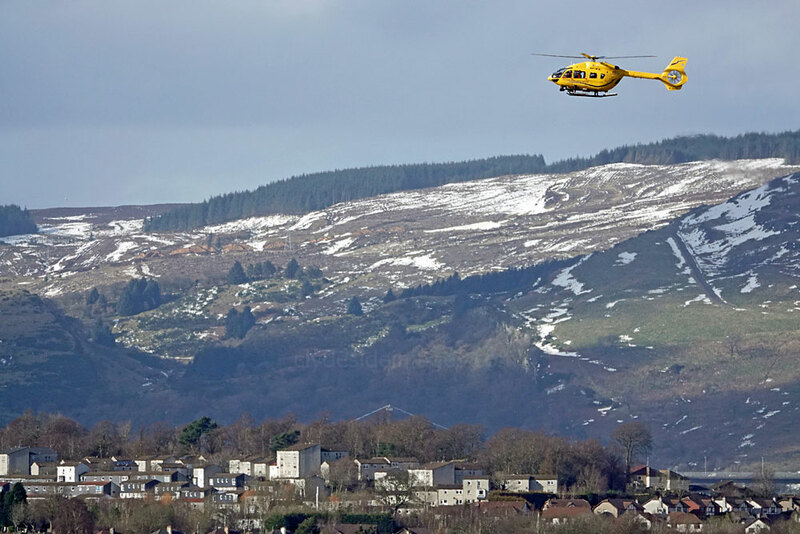 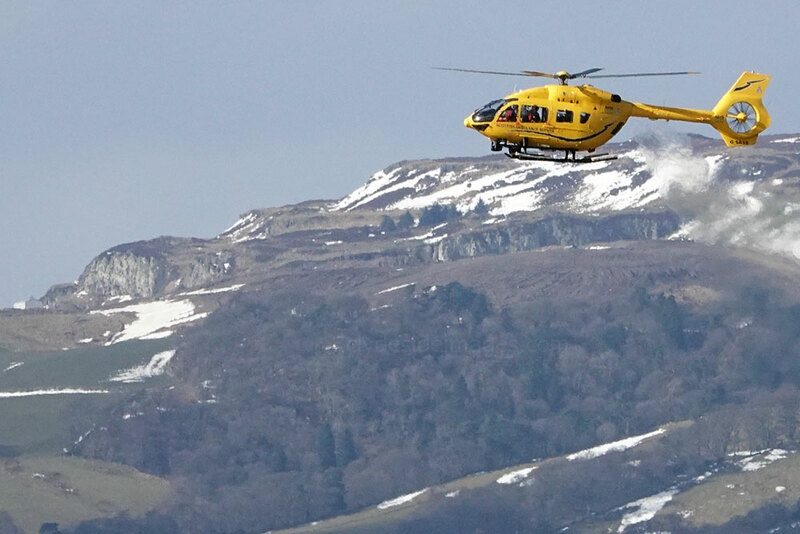 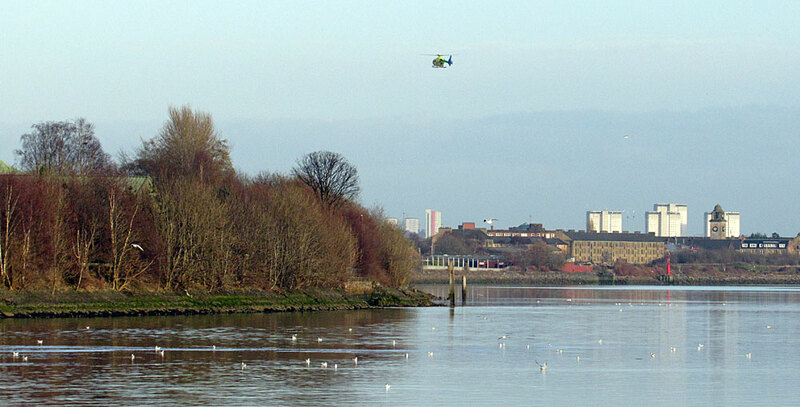 As Scotland’s only charity air ambulance, SCAA is funded by the people of Scotland, primarily through donations, fundraising, events and the organisations`s own life-saving lottery. 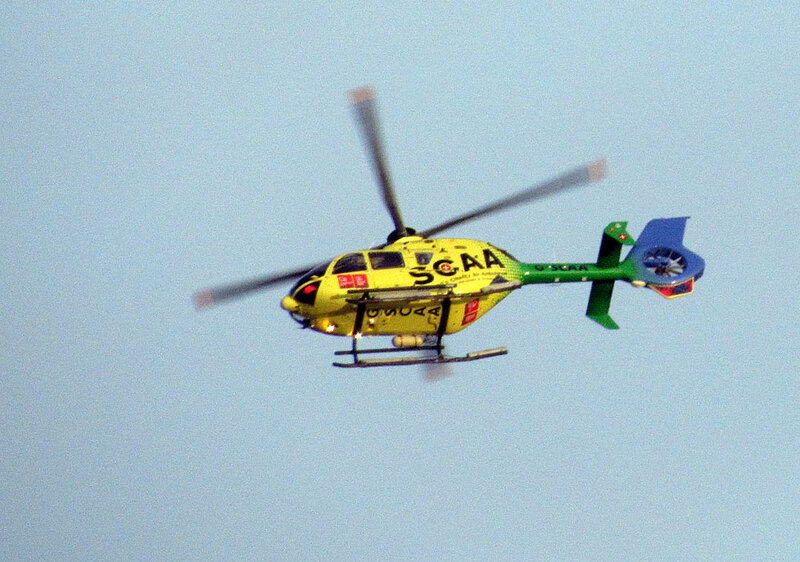 More information can be found here: www.scaa.org.uk. 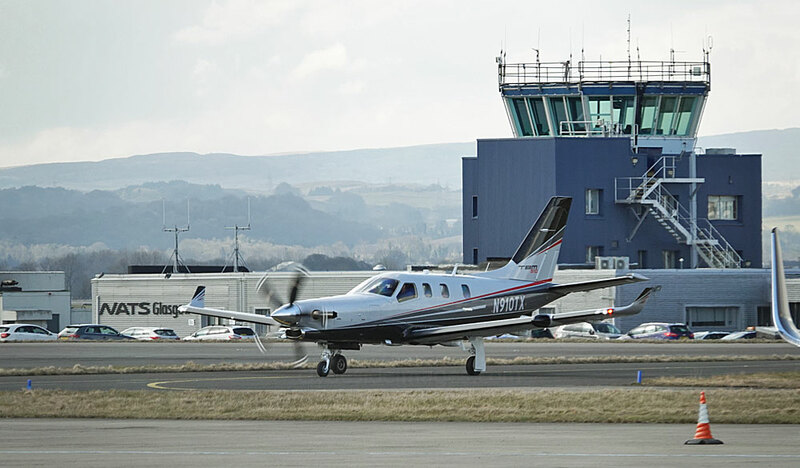 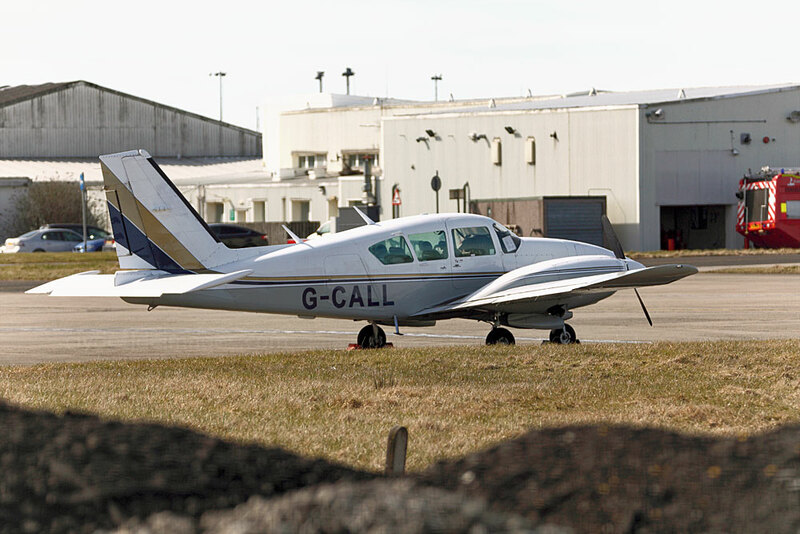 ​US-registered SOCATA TBM-910 N910TX made a two-hour stop on the afternoon of 29 March. 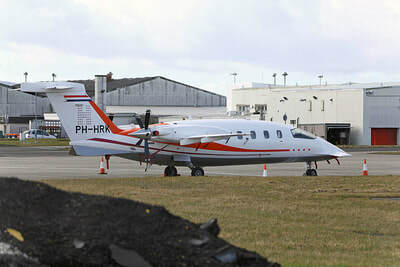 The aircraft was on its first visit to the airport. 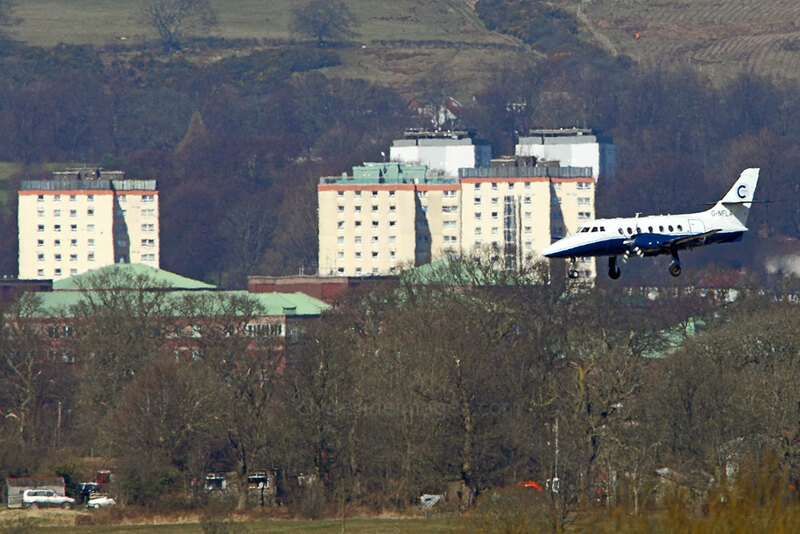 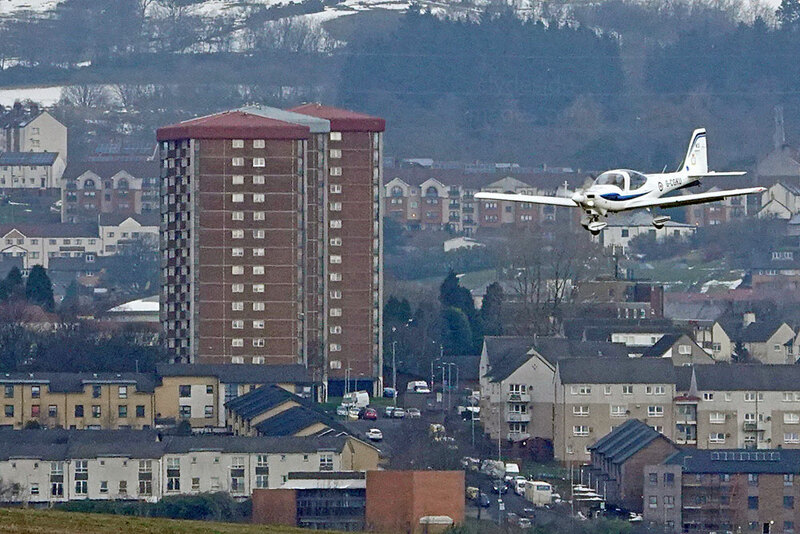 Gama King Air G-GMAE lifting off from Runway 05 on Saturday 31 March. 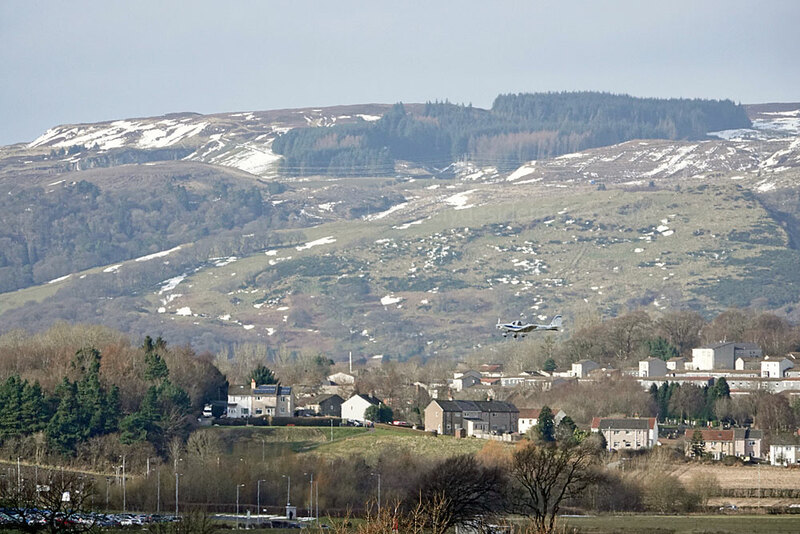 Just a couple of military movements this time but there should be a few more next month when the only Joint Warrior exercise scheduled for 2018 is due to take place. 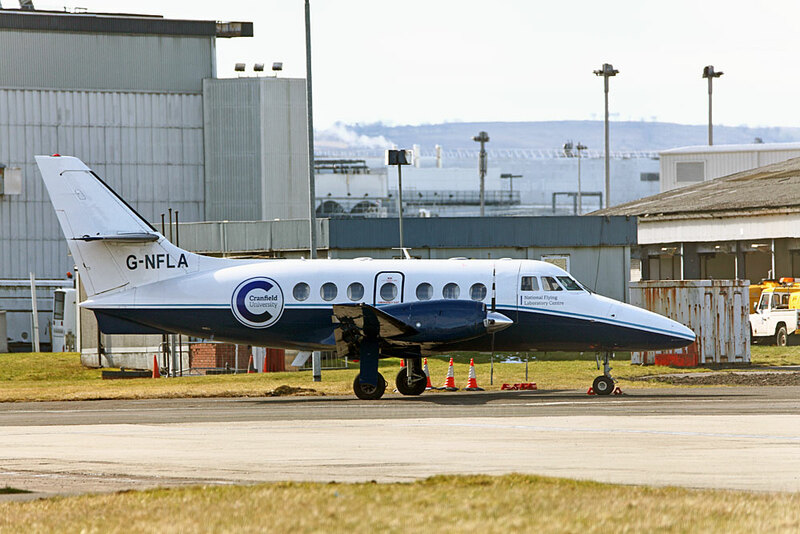 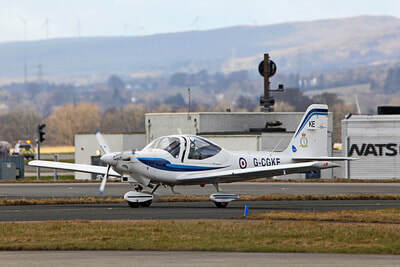 Although Cobham Aviation Falcons and Royal Navy Hawks usually take up temporary residence at Prestwick for the duration, some of the other aircraft involved occasionally drop in at Glasgow. 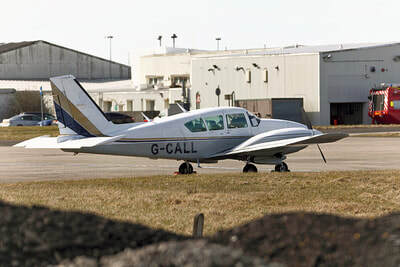 ​​March 2018 saw US Army Cessna UC-35A Citation Ultra 98-0010 make a 90-minute stop around lunchtime on Wednesday 7th. 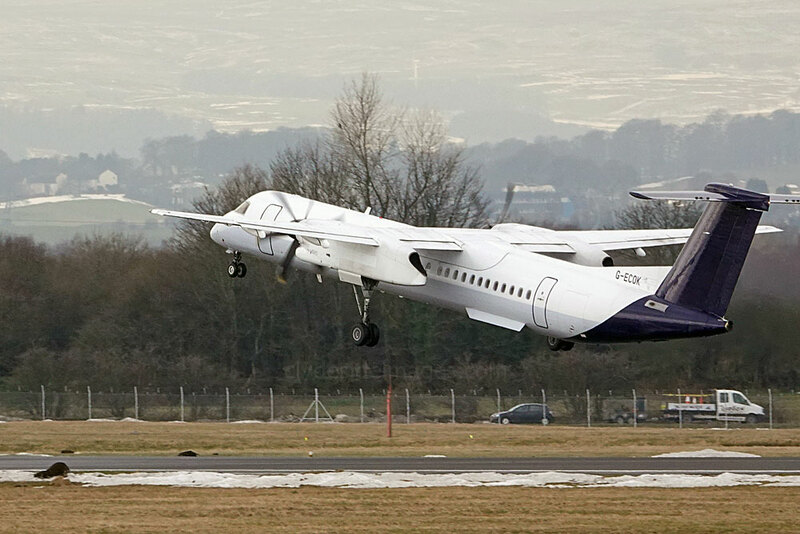 RAF BAe 146-200QC C.3 ZE708 and RAF AgustaWestland EH-101 Merlin HM.2 ZH841 (call-sign `Kingfisher 501`) called in on the 21st. BAe 146 ZE708 returned on Thursday 29 March when the above shot was taken. 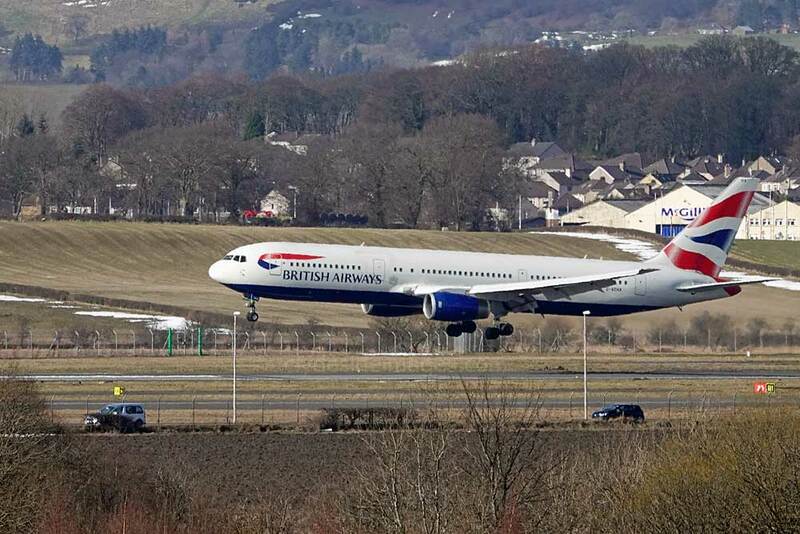 It brought PM Theresa May to Scotland for a brief visit as there is exactly one year to go to before the UK officially leaves the European Union. 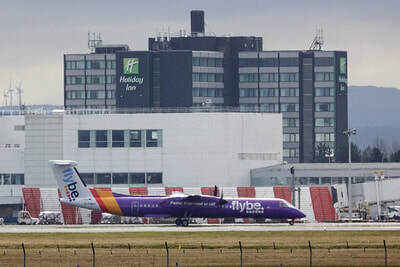 On 29 March 2019, the UK will enter a 21-month transition period during which much of the current arrangements continue, before the final permanent post-membership relationship is due to kick-in. 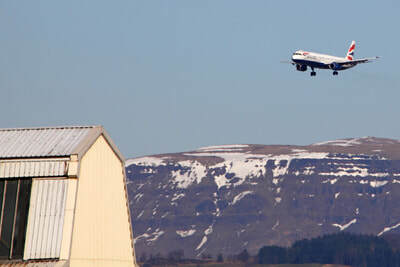 Since formal negotiations began between the two sides last June, an agreement has been struck on a Brexit "divorce bill" - but the crucial issue of how they will trade together in the longer term has yet to be settled. The Prime Minister also visited England, Wales and Northern Ireland during her whistle-stop tour.